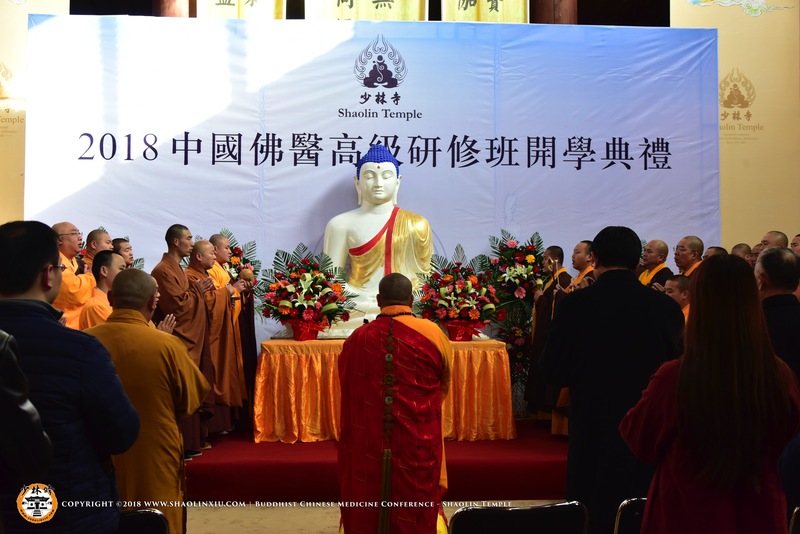 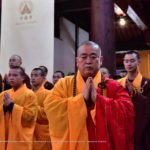 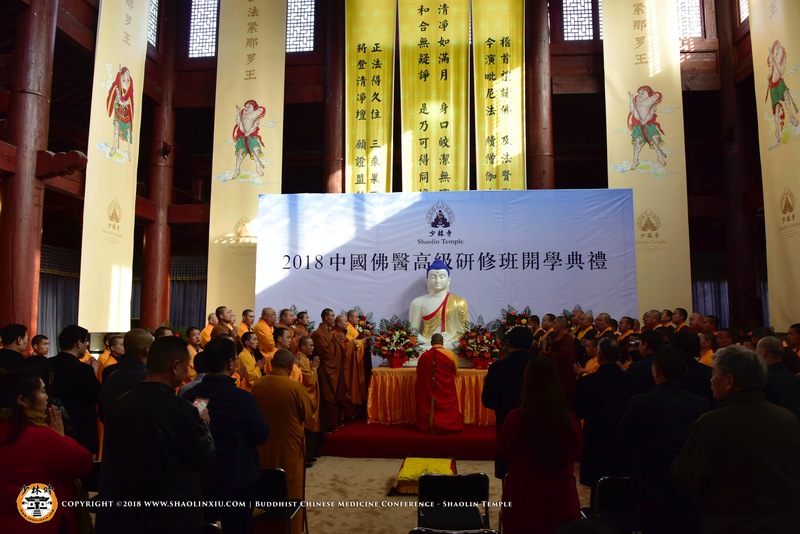 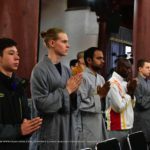 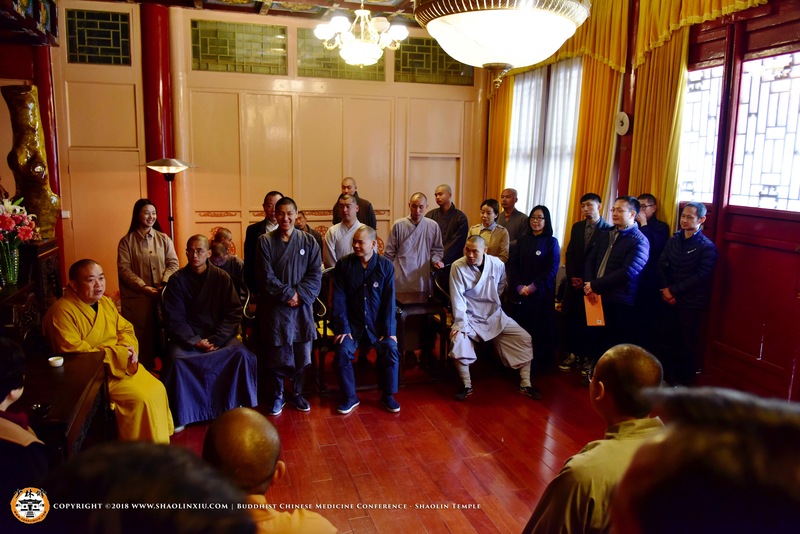 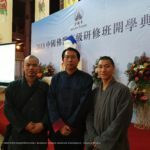 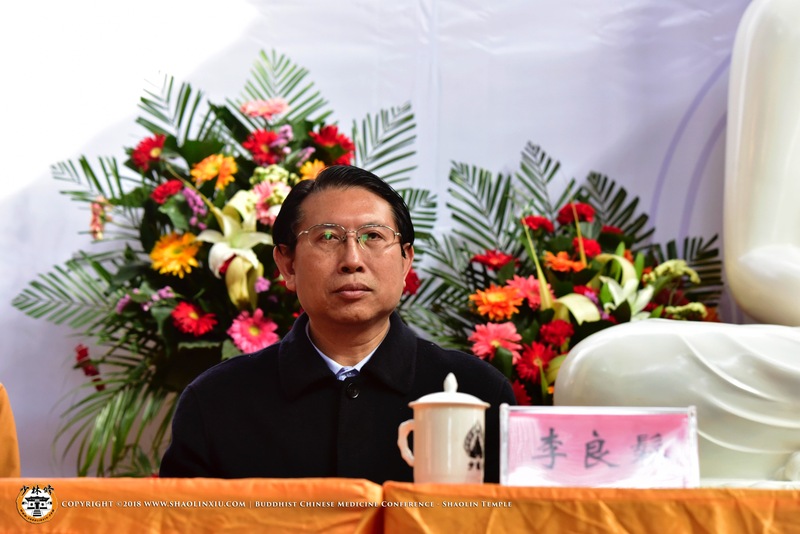 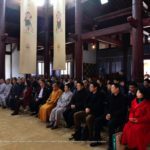 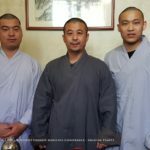 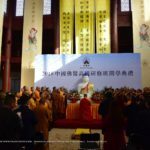 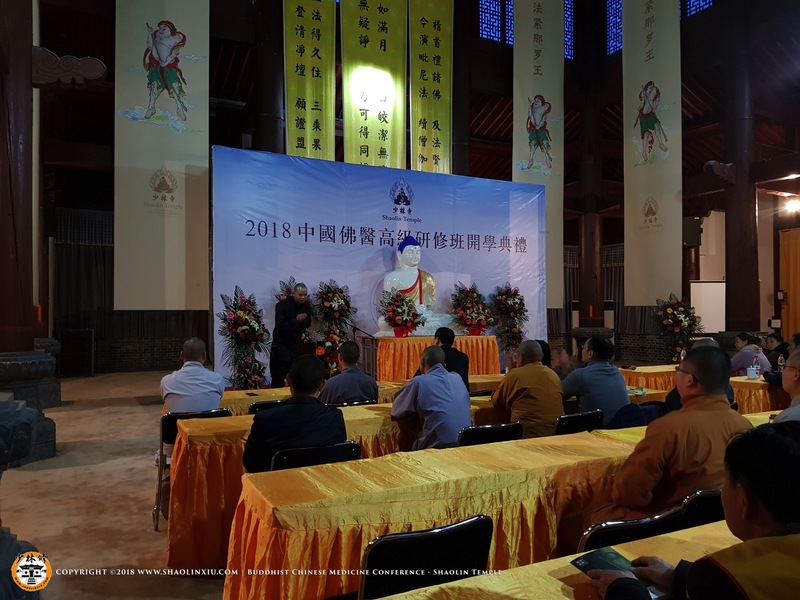 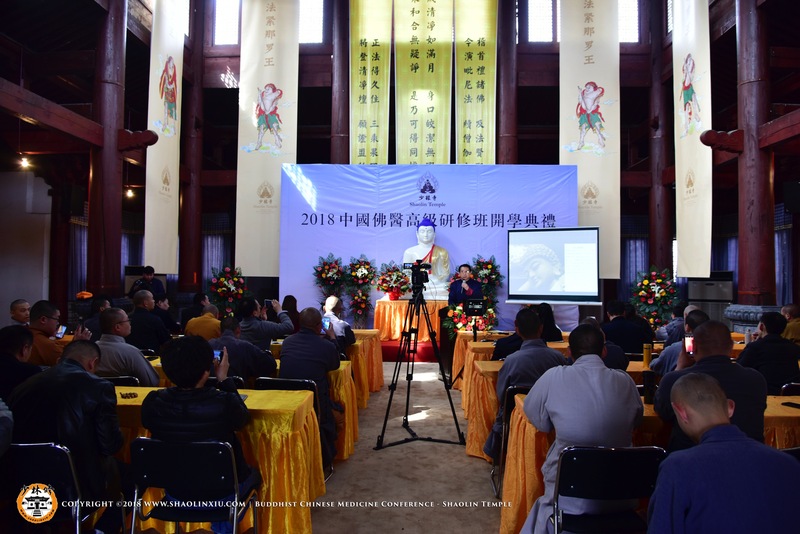 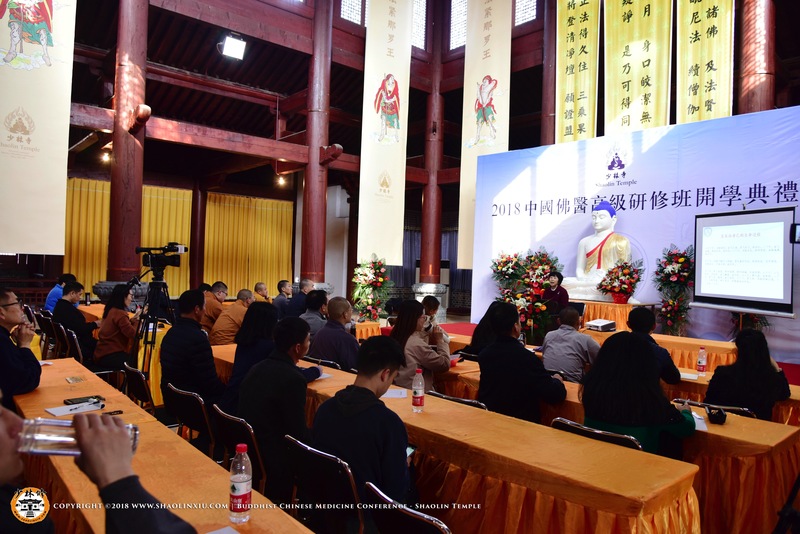 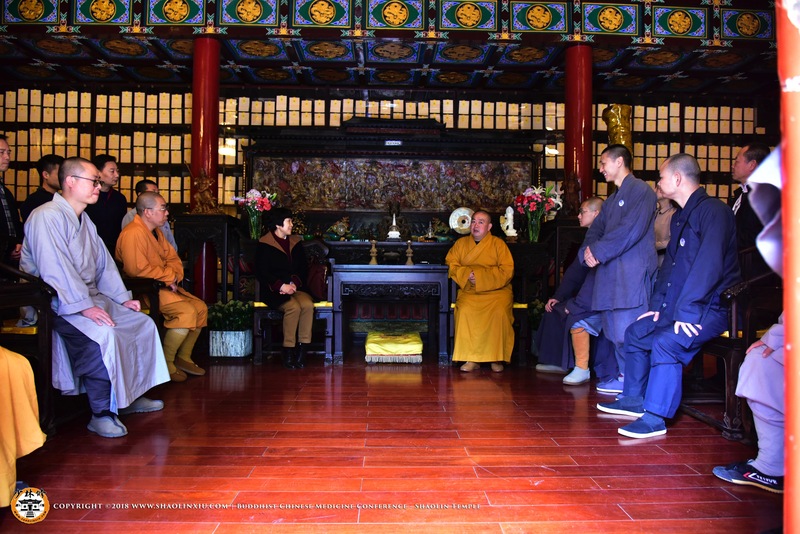 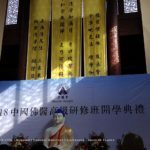 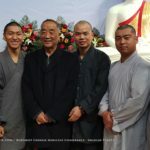 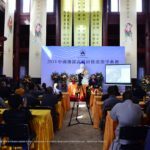 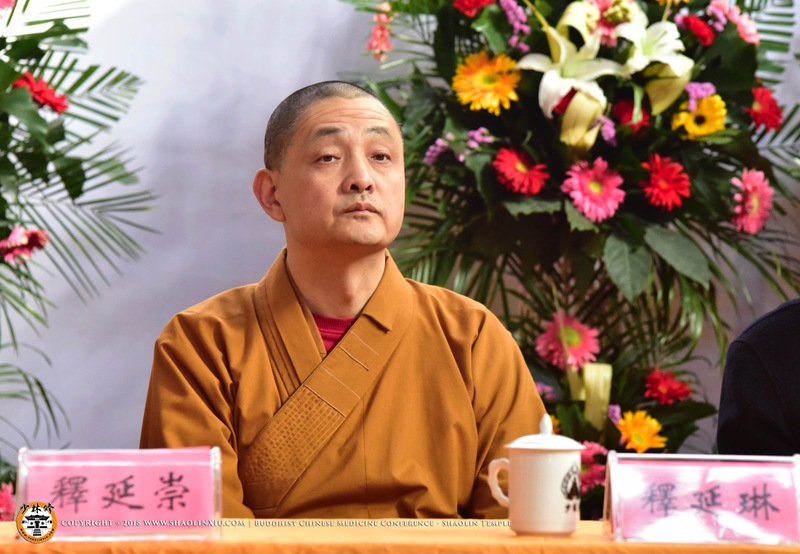 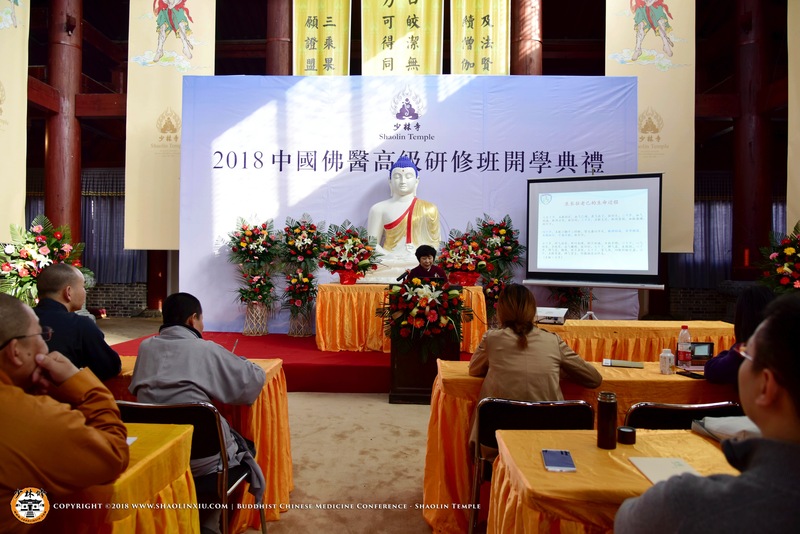 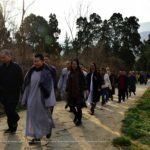 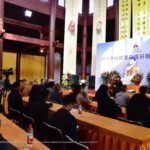 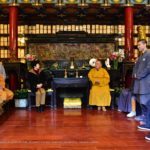 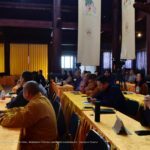 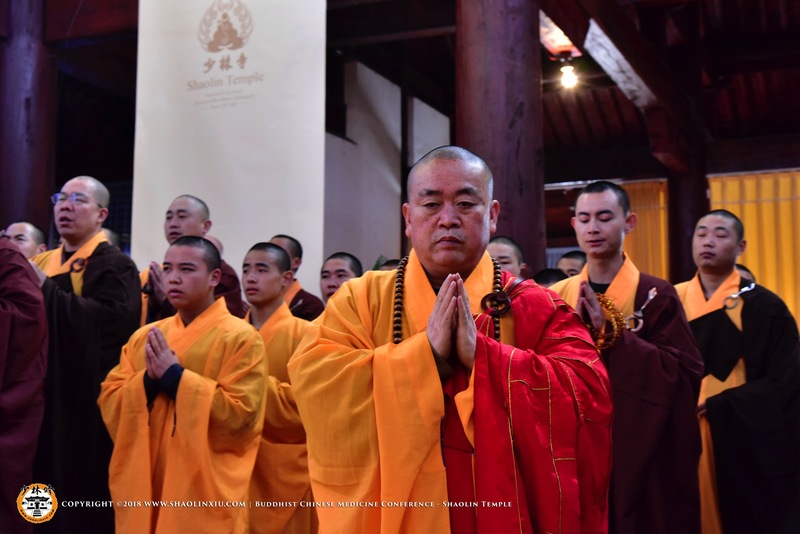 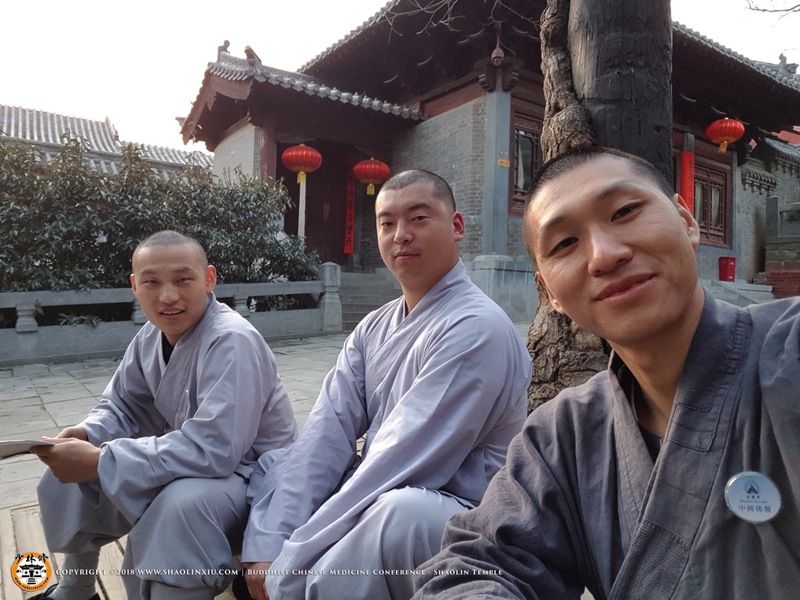 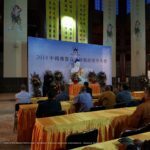 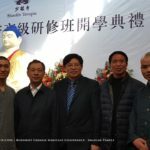 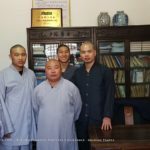 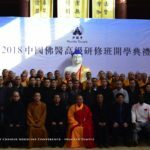 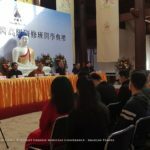 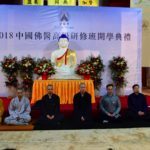 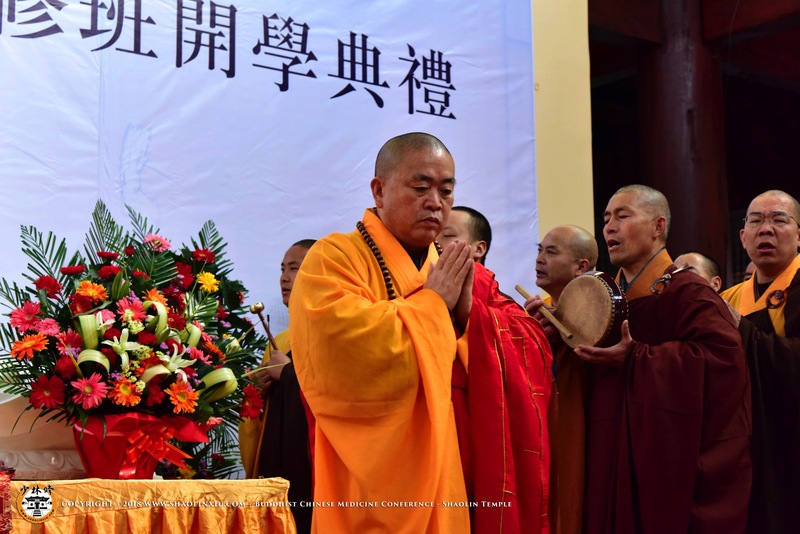 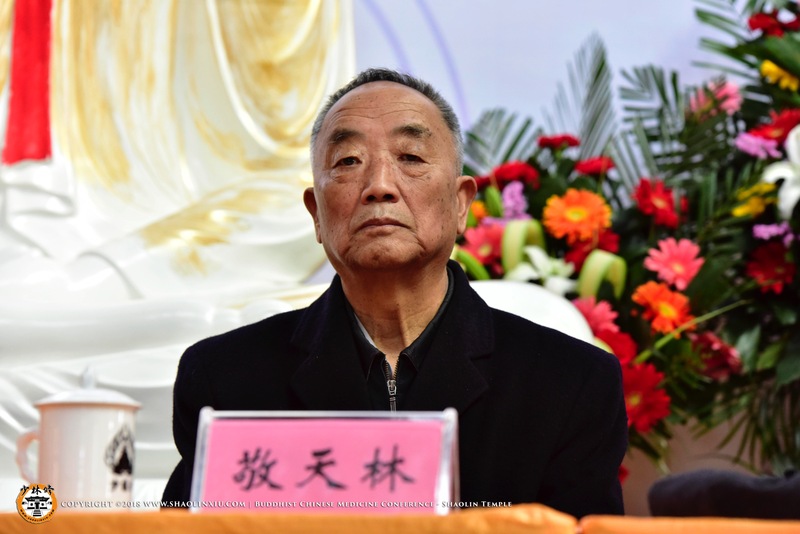 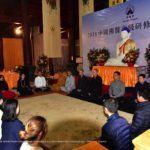 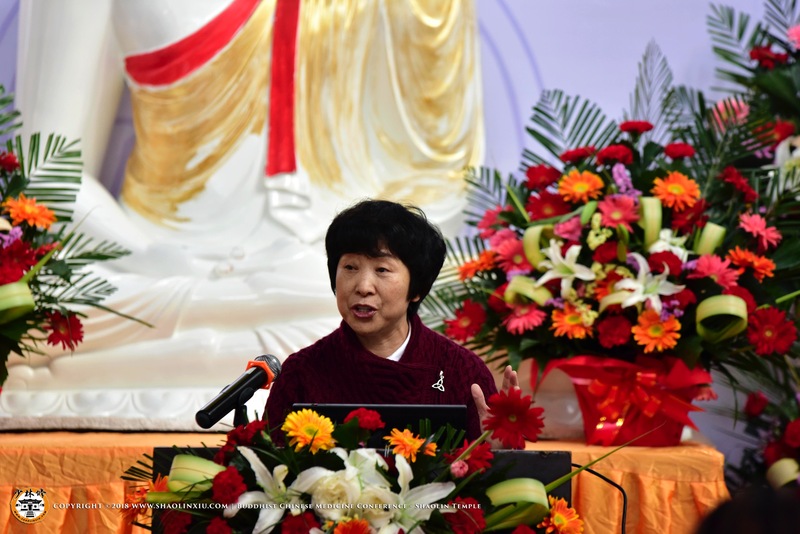 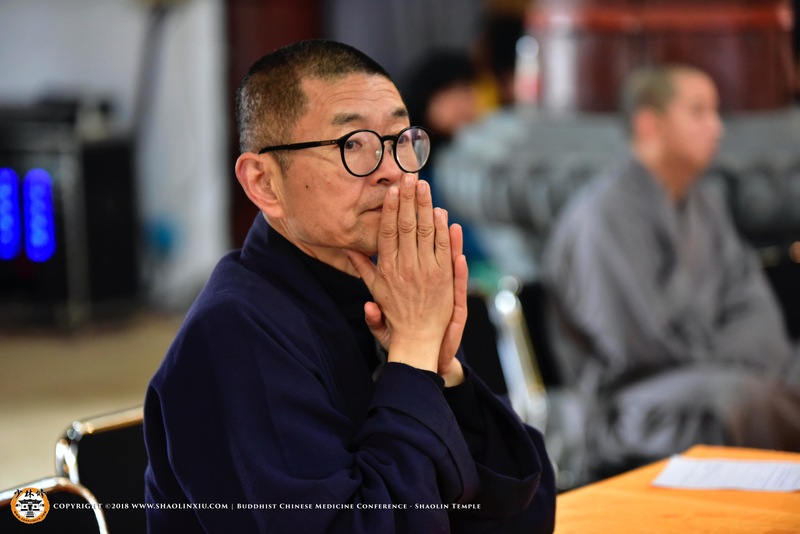 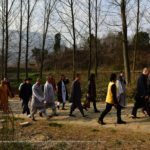 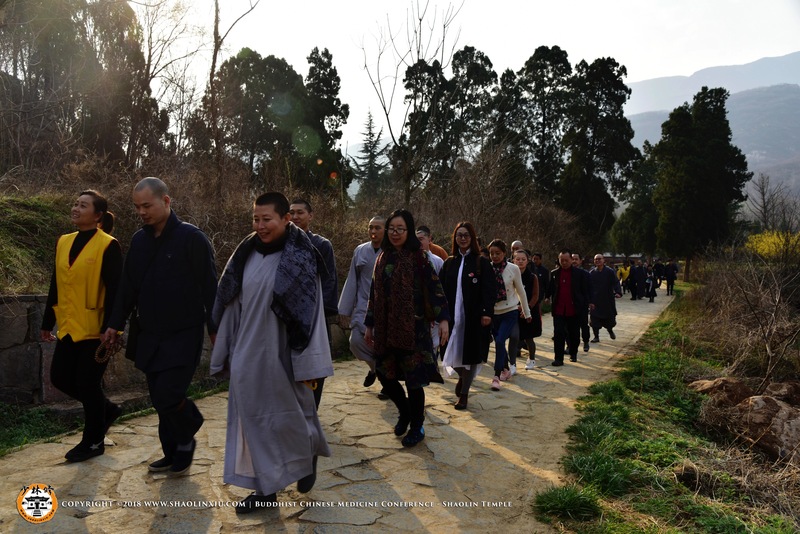 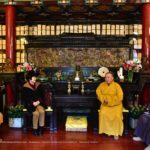 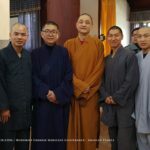 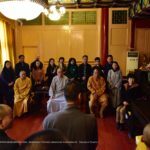 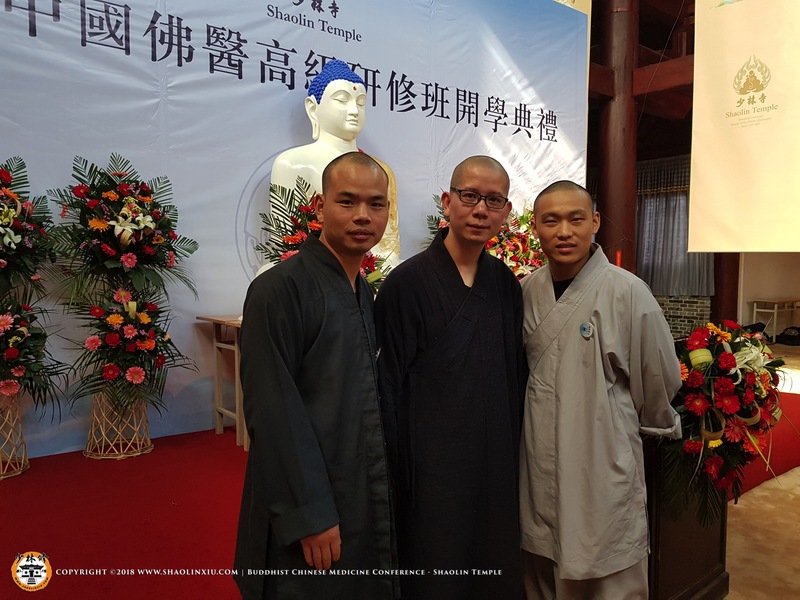 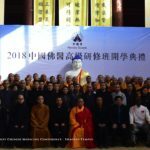 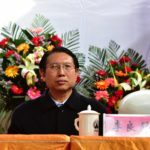 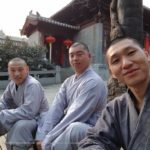 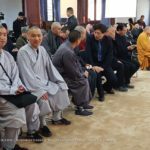 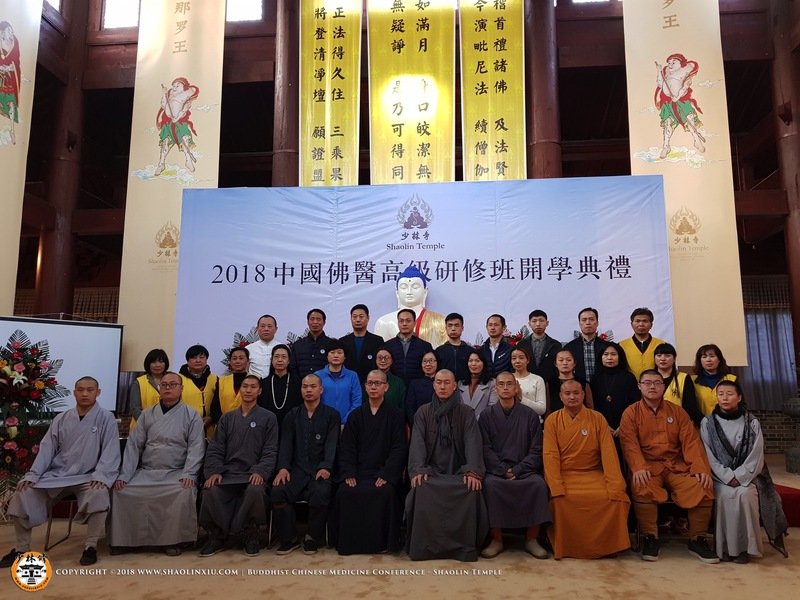 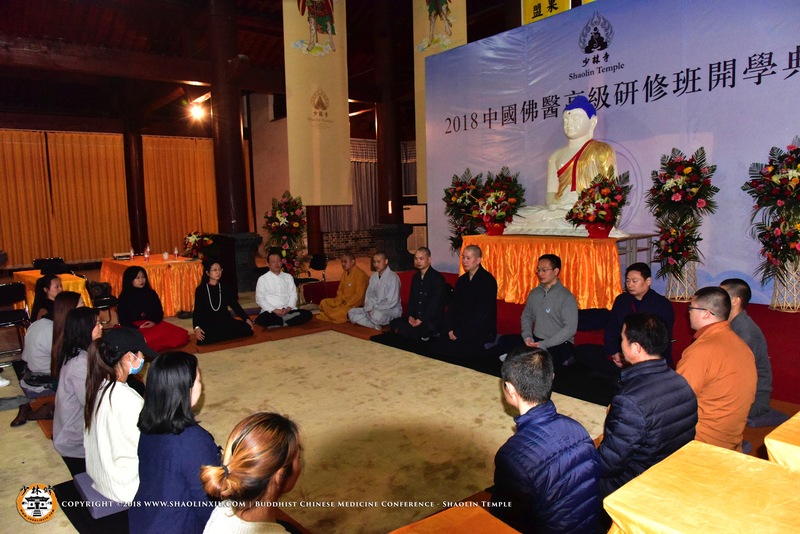 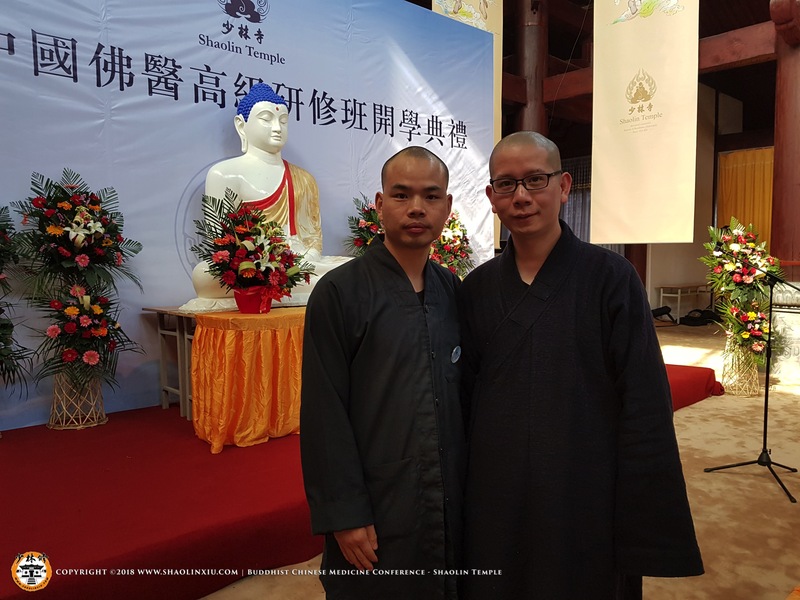 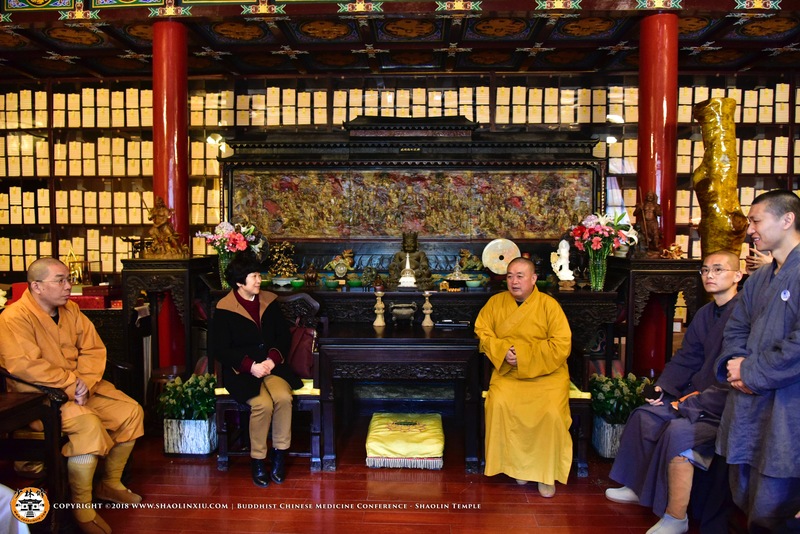 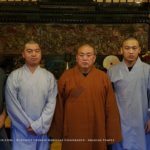 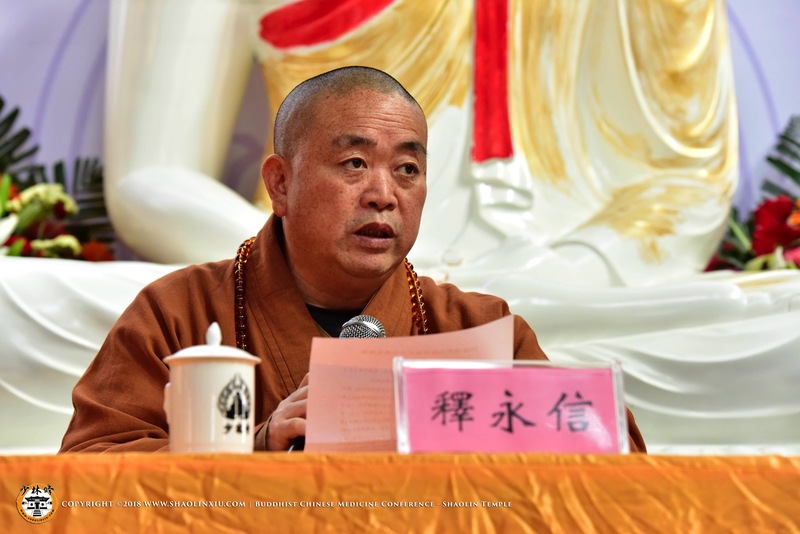 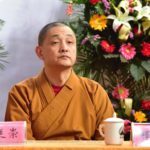 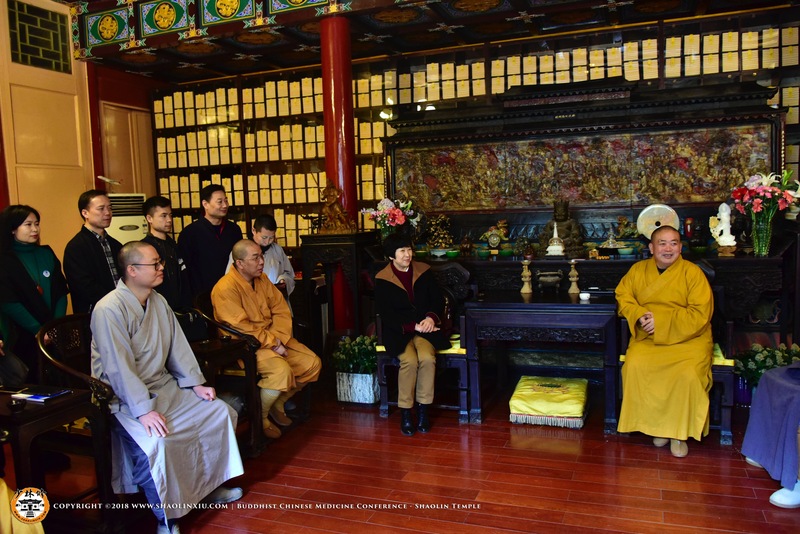 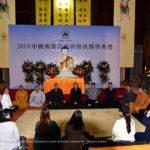 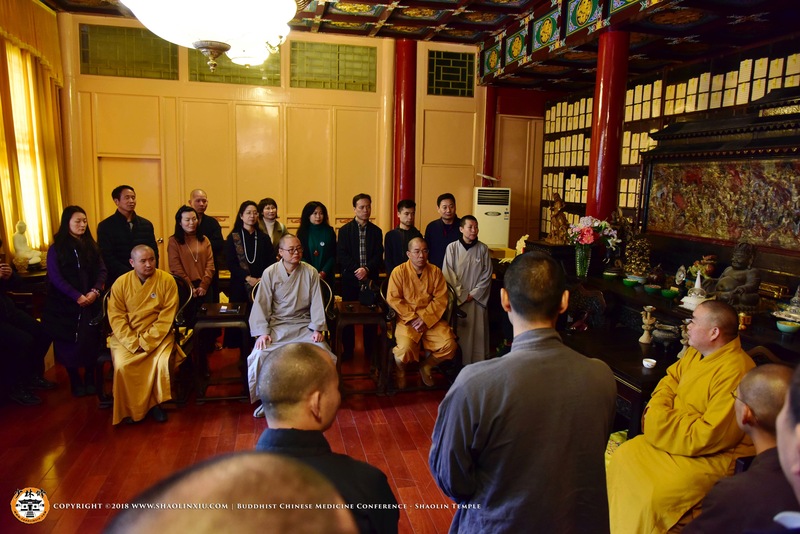 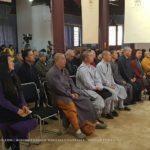 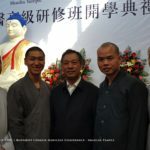 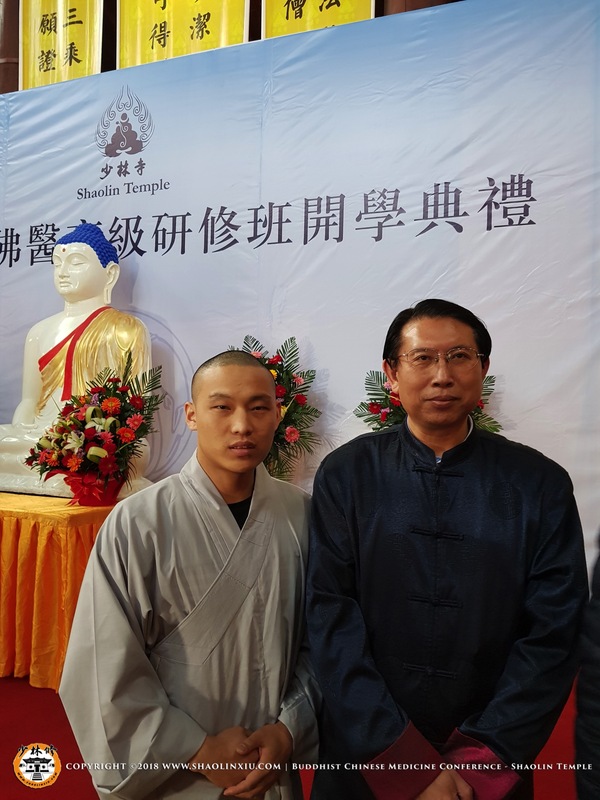 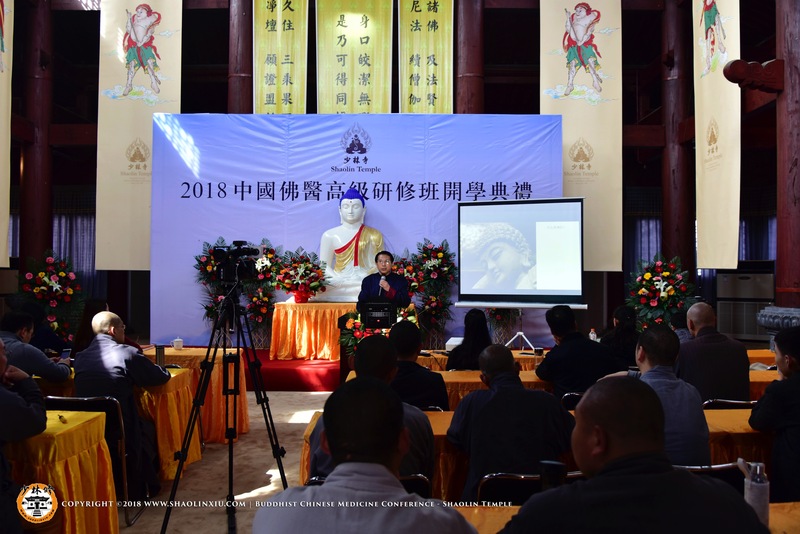 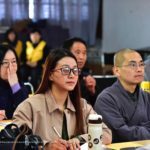 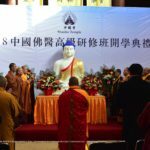 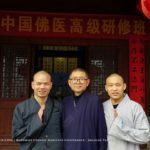 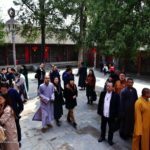 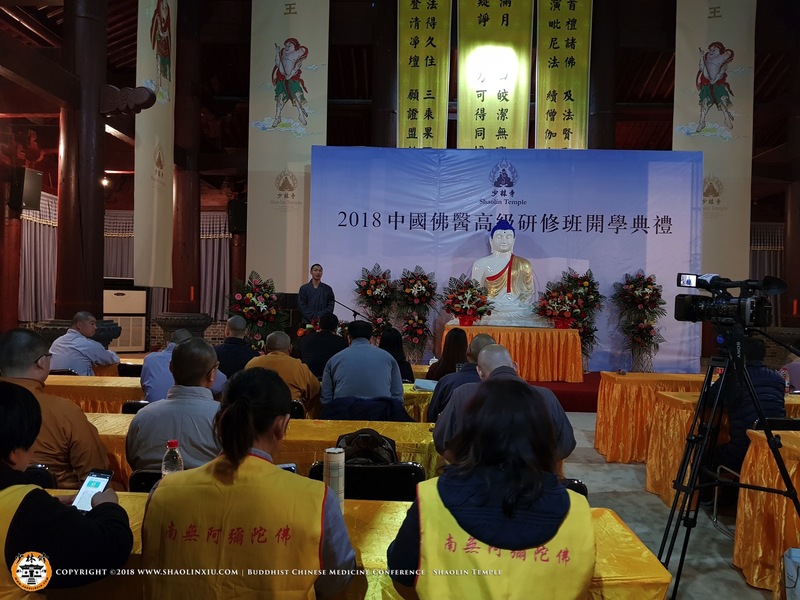 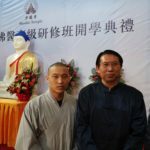 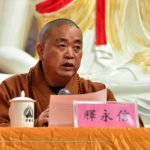 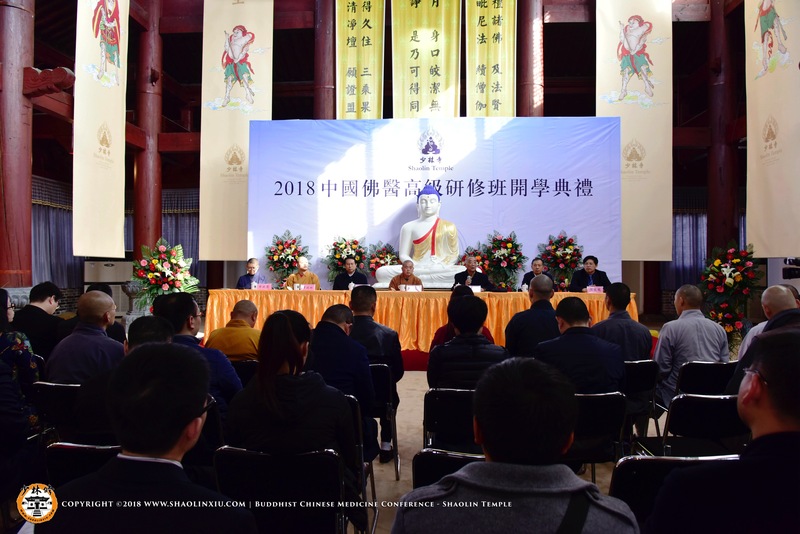 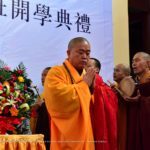 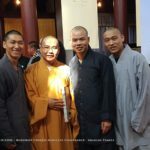 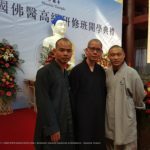 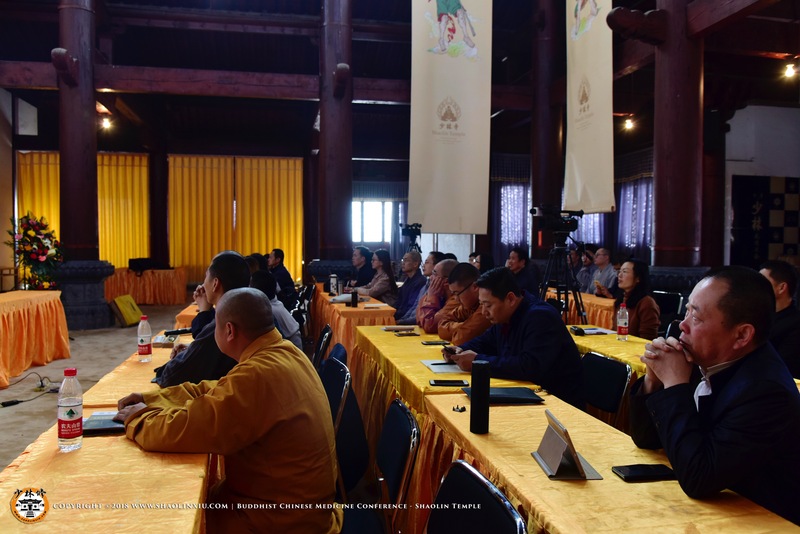 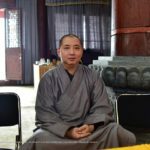 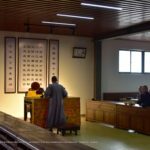 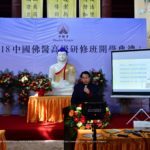 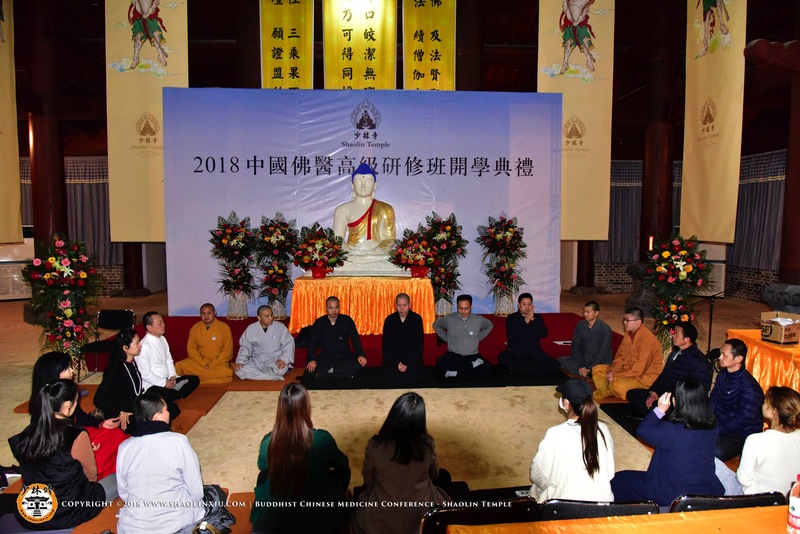 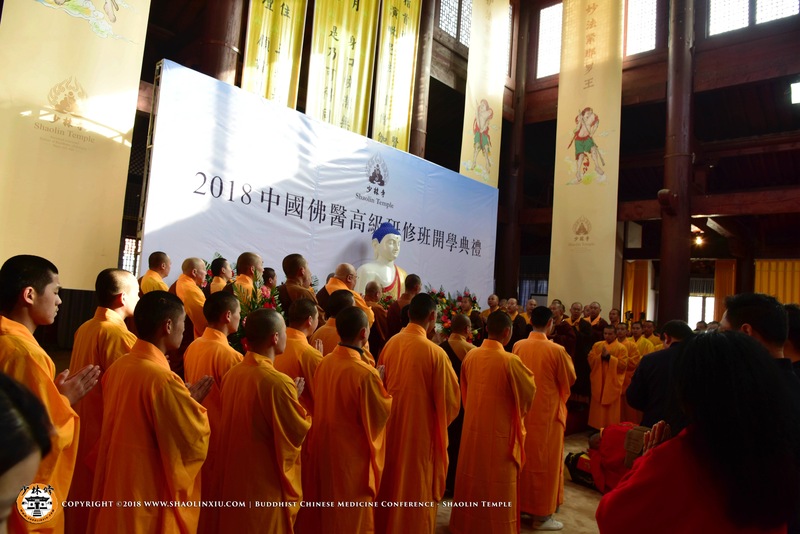 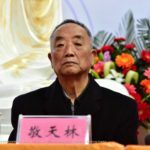 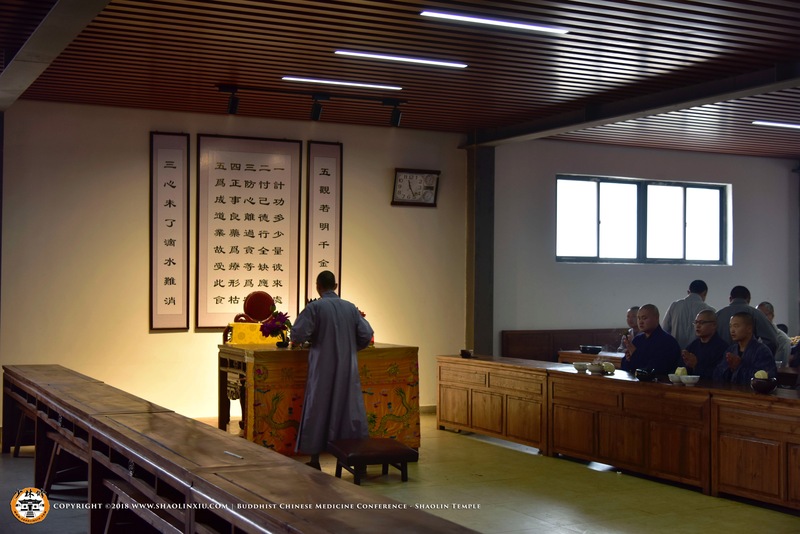 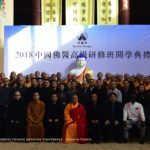 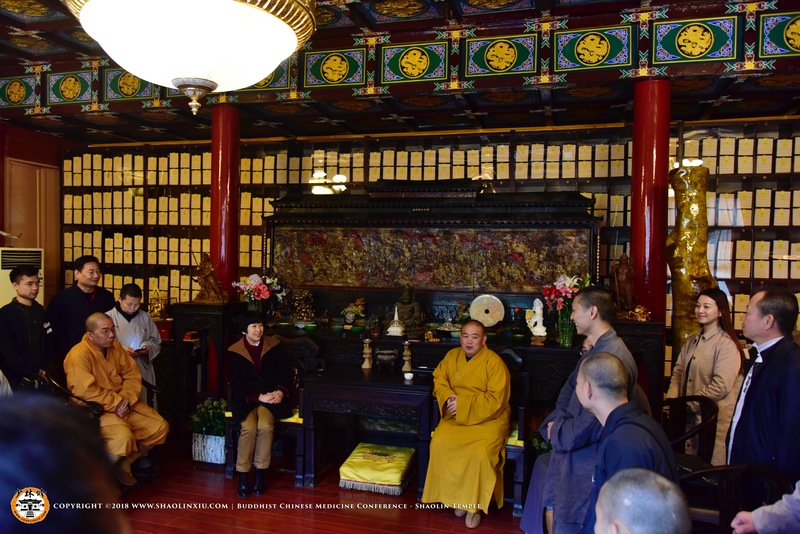 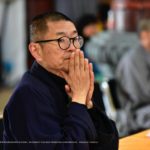 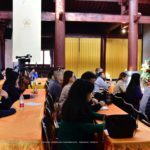 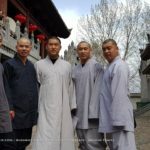 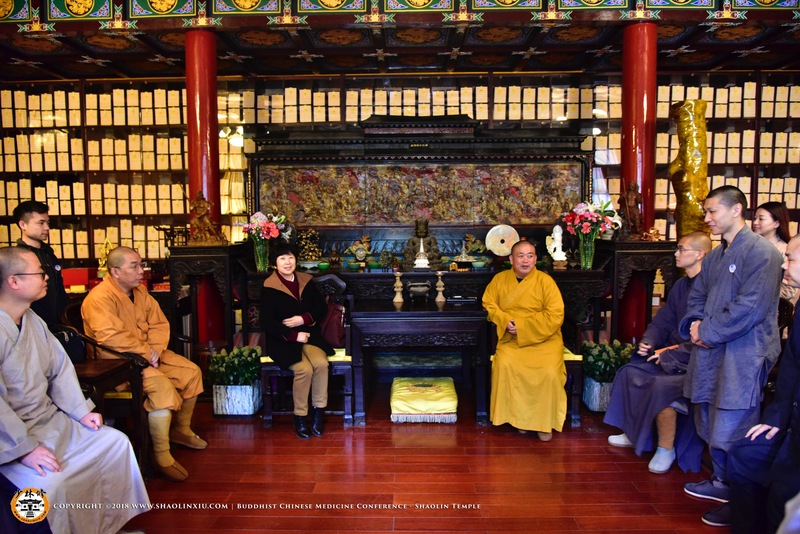 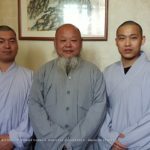 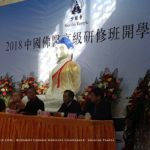 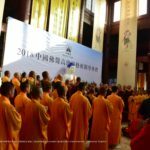 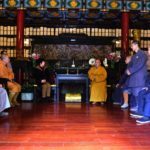 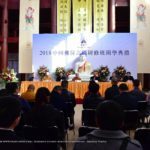 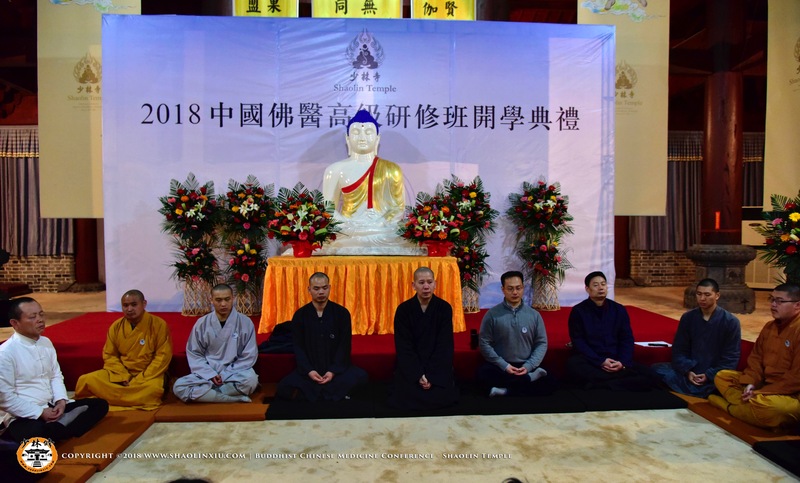 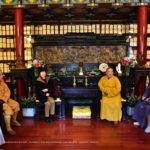 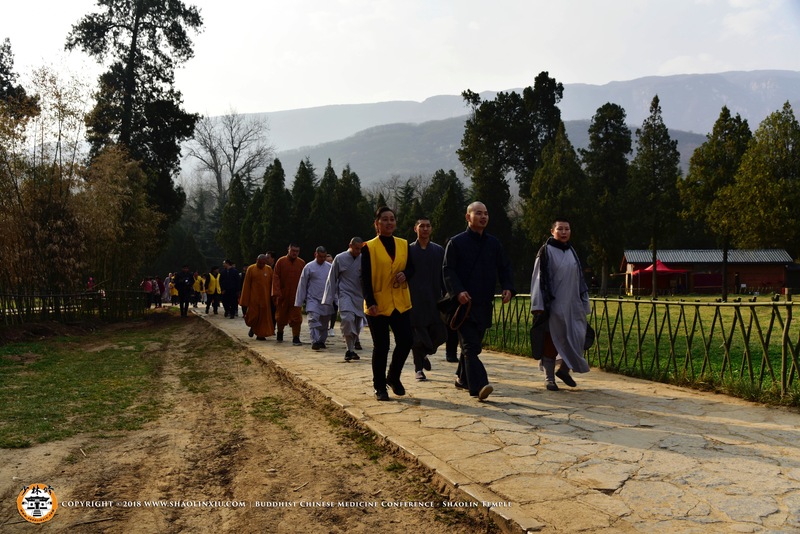 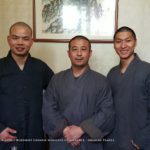 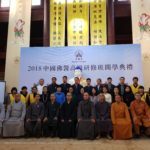 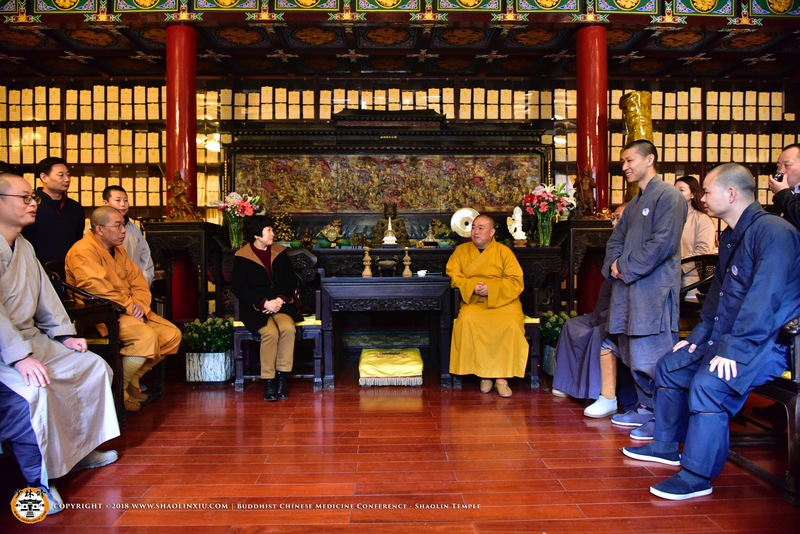 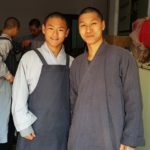 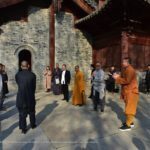 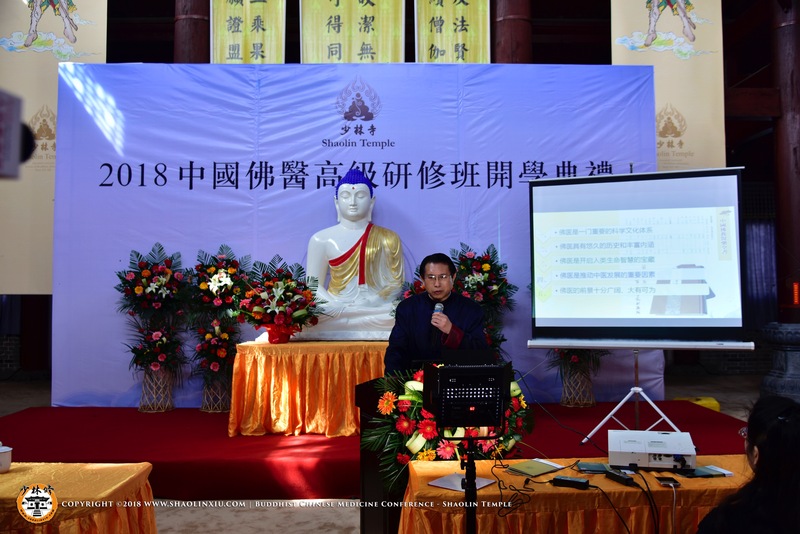 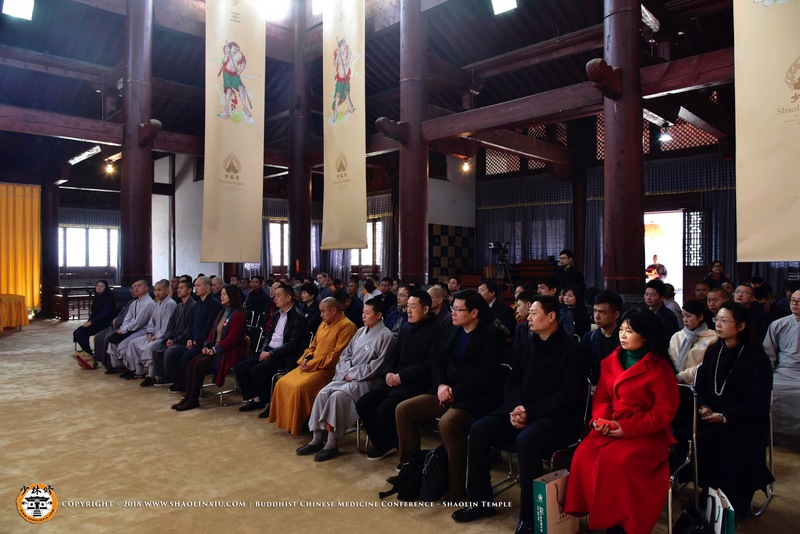 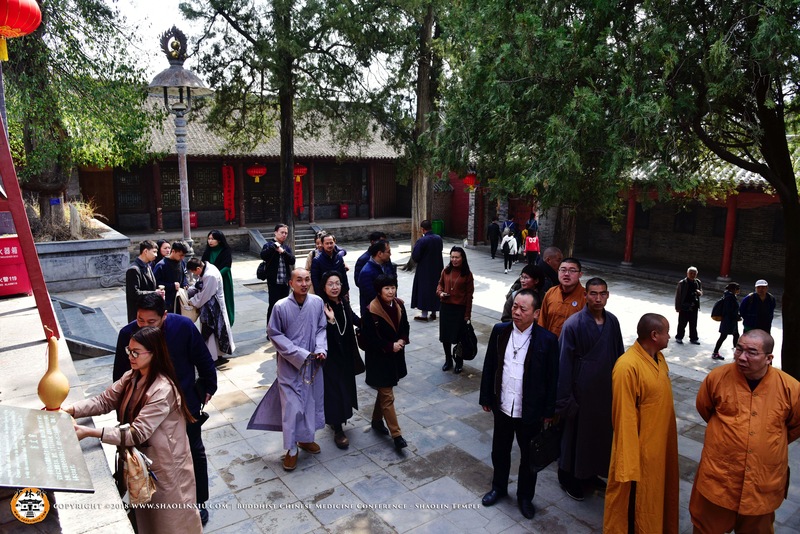 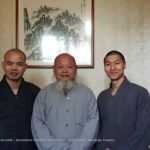 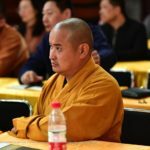 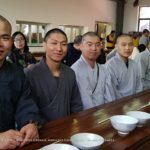 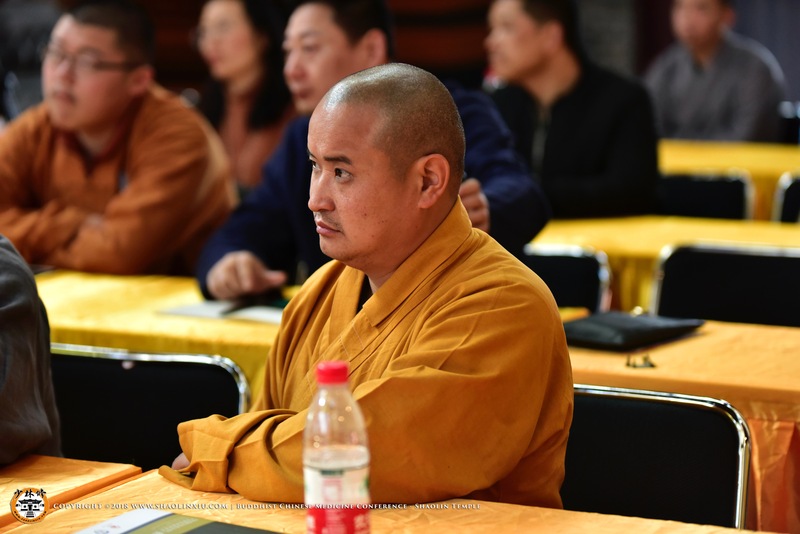 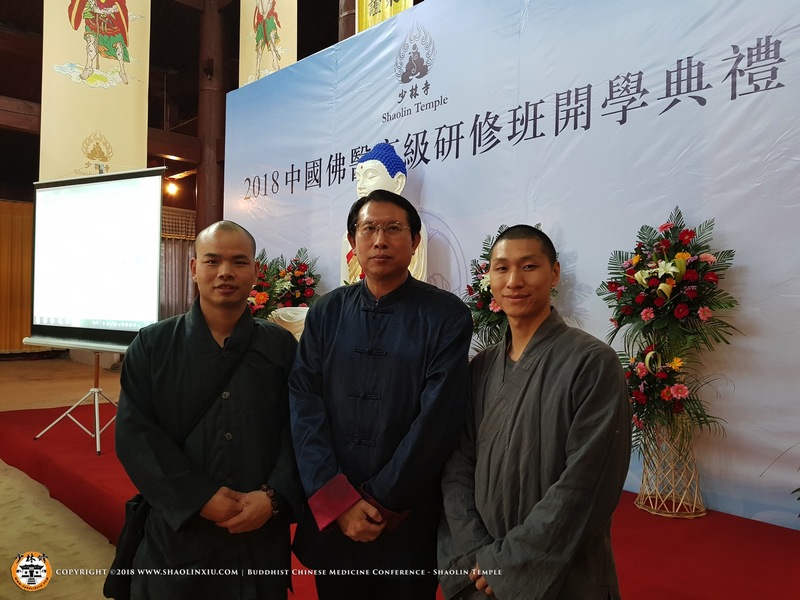 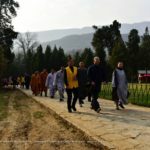 Shifu Yan Xiu, Shifu Yan Hao and Shifu Yan Peng were invited to join their master, Shi Yong Xin (Abbot of Shaolin Temple) in the opening ceremony of the Buddhist Chinese Medicine Conference, March 2018 held in the Shaolin Temple. 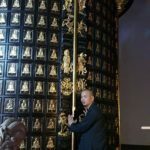 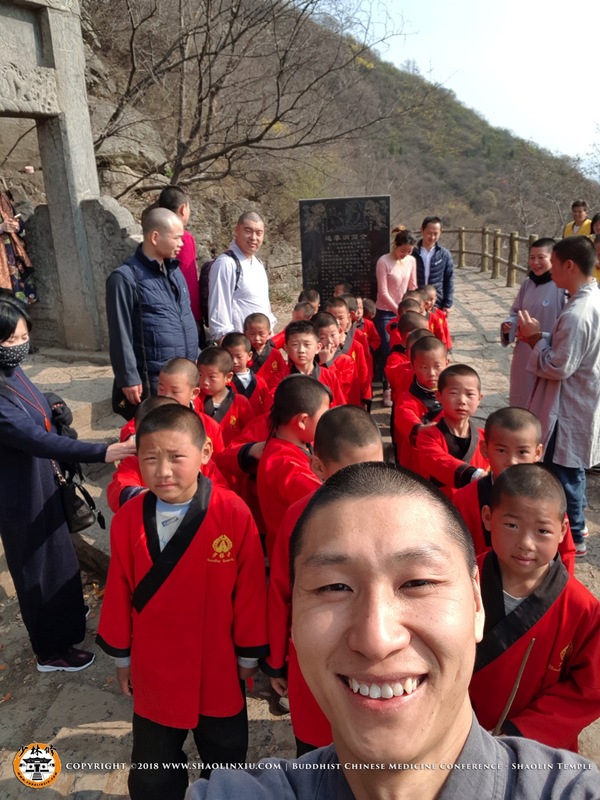 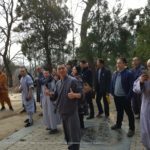 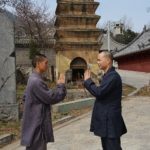 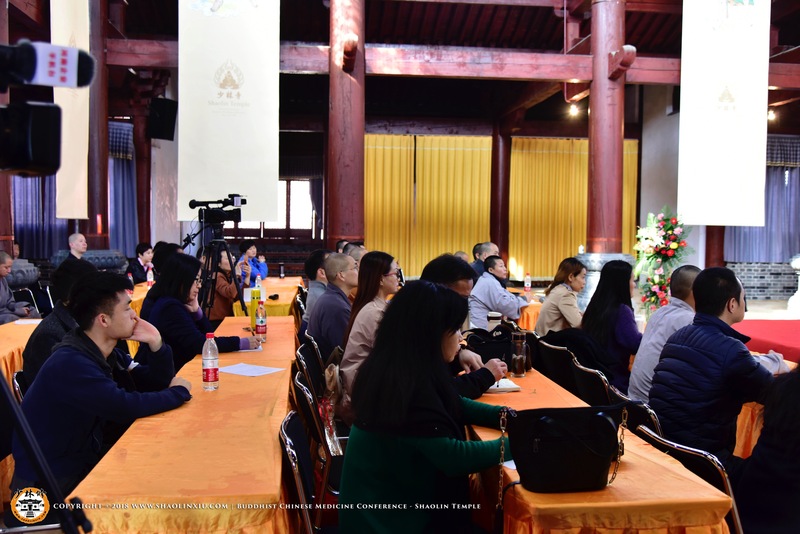 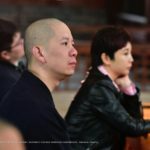 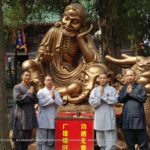 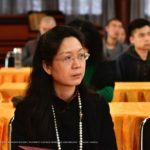 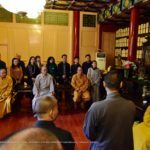 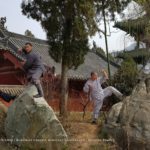 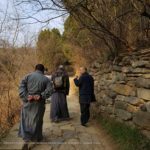 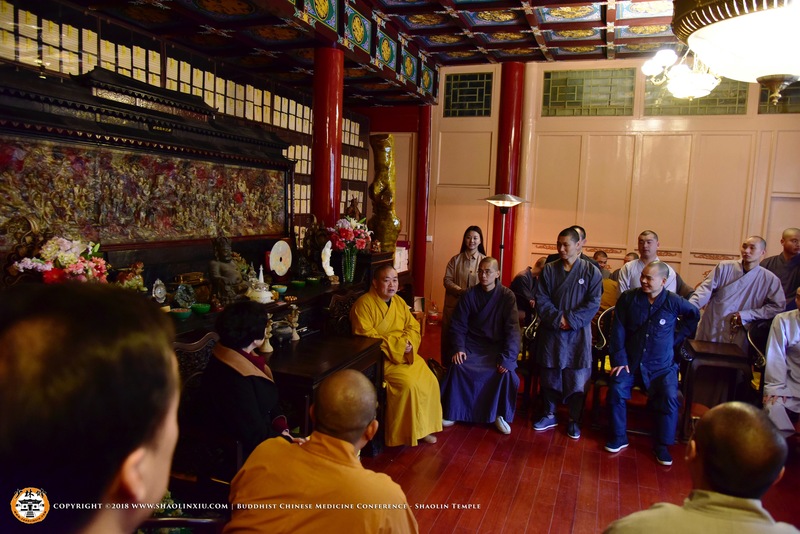 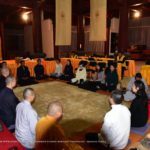 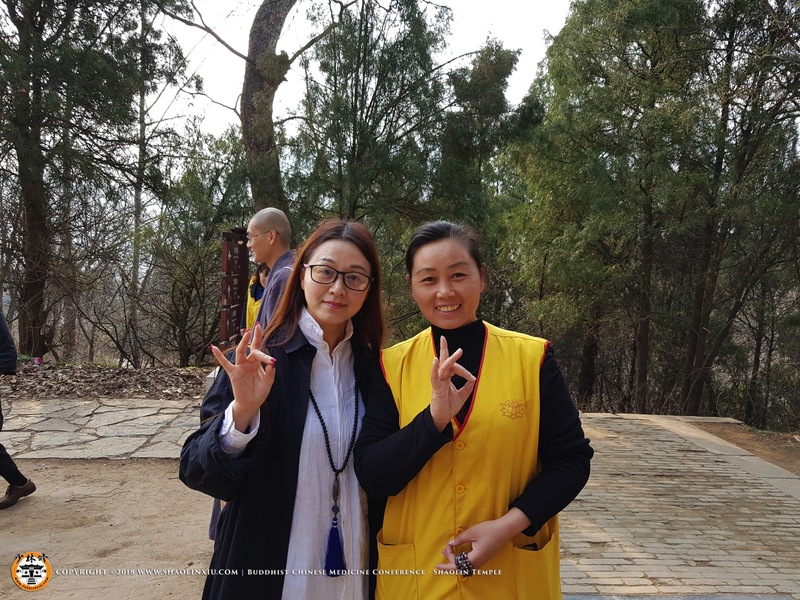 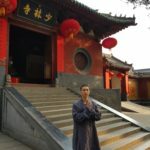 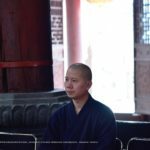 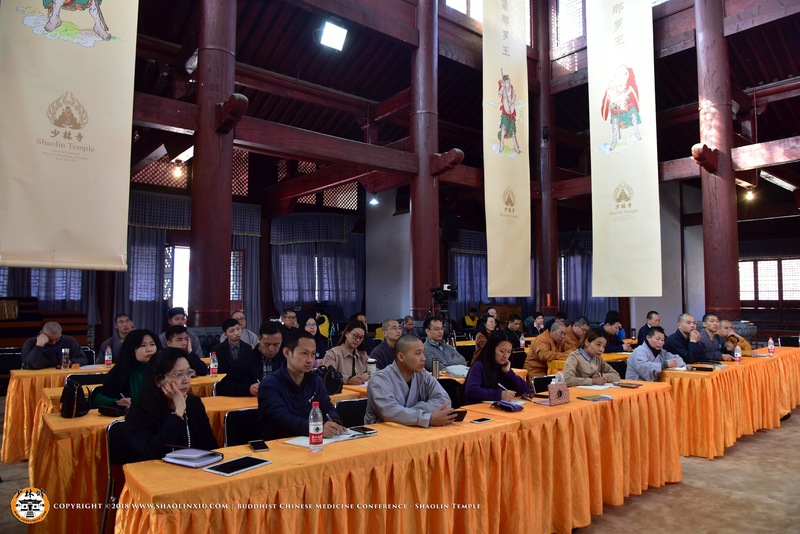 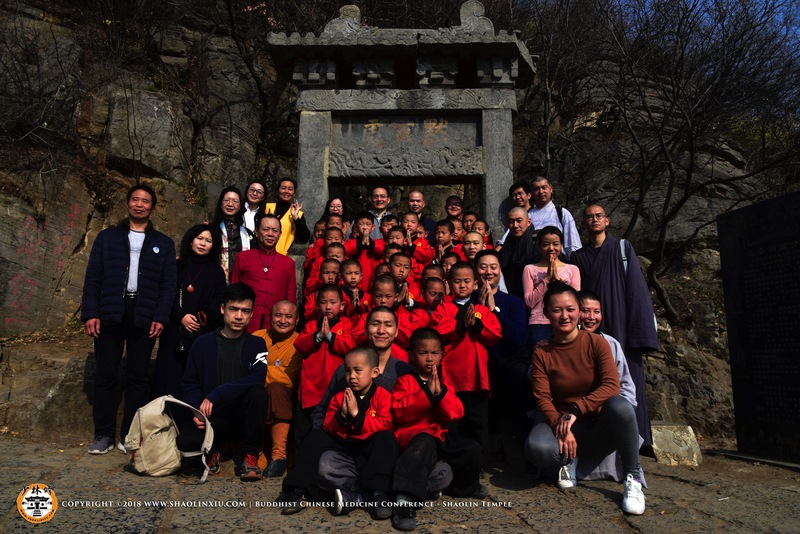 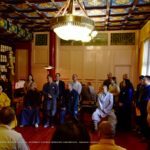 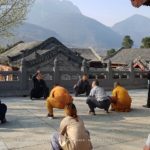 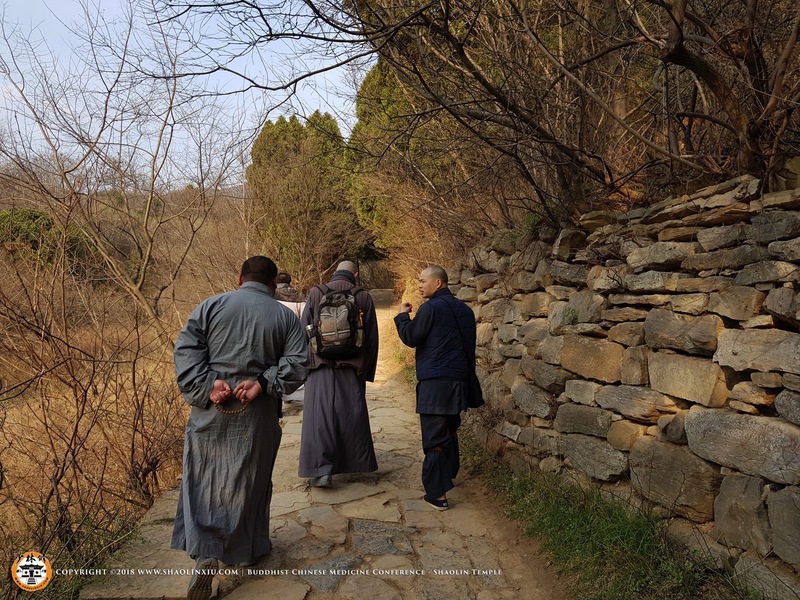 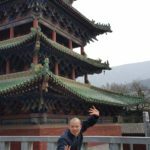 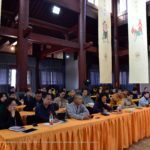 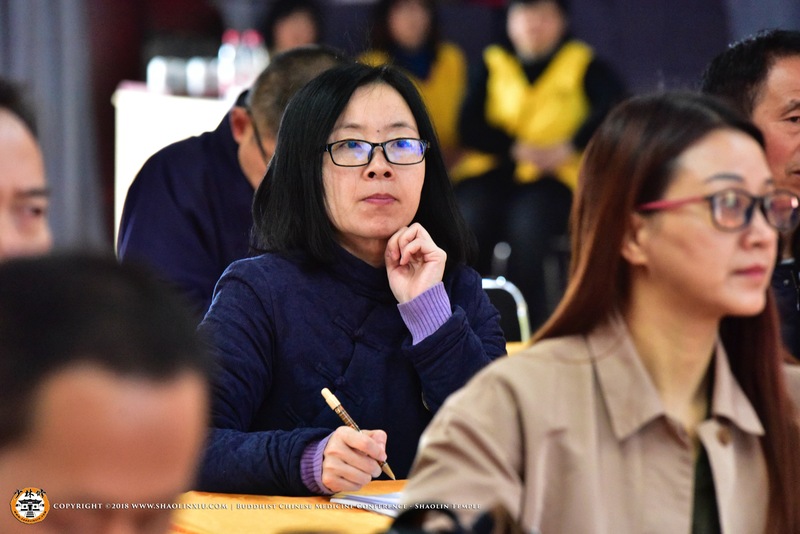 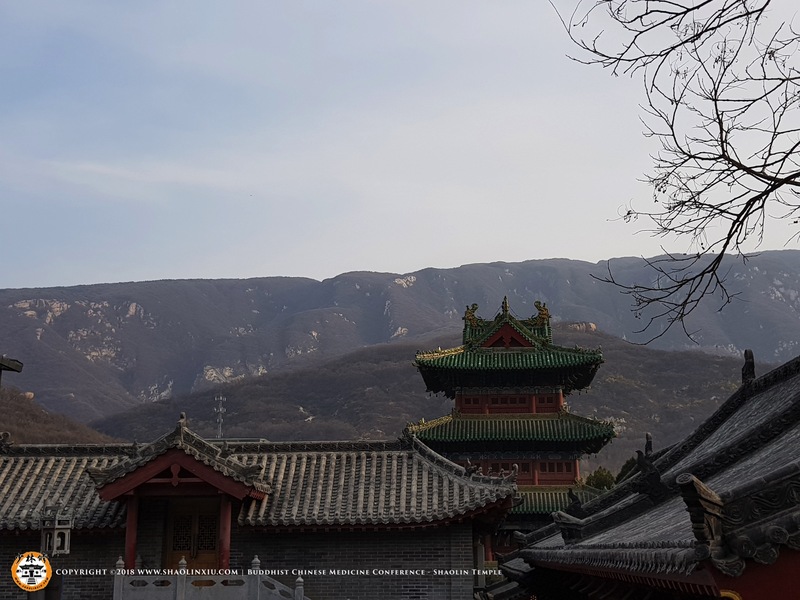 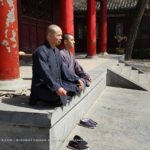 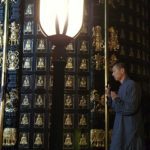 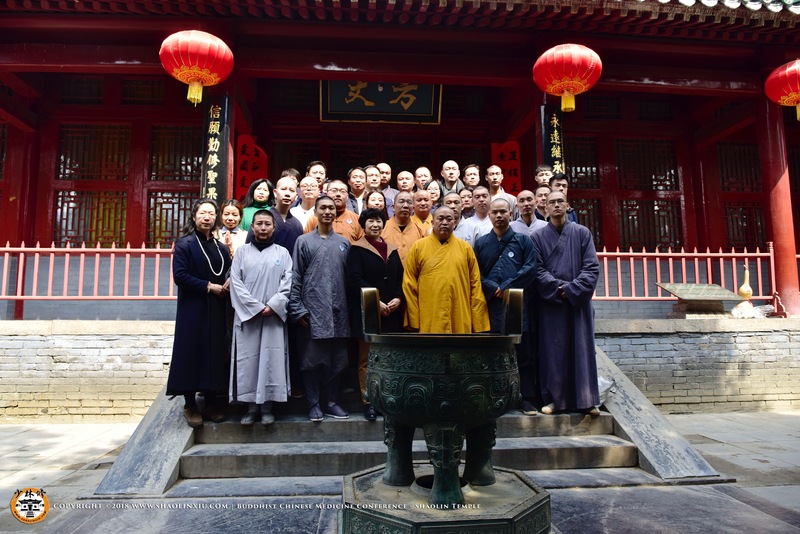 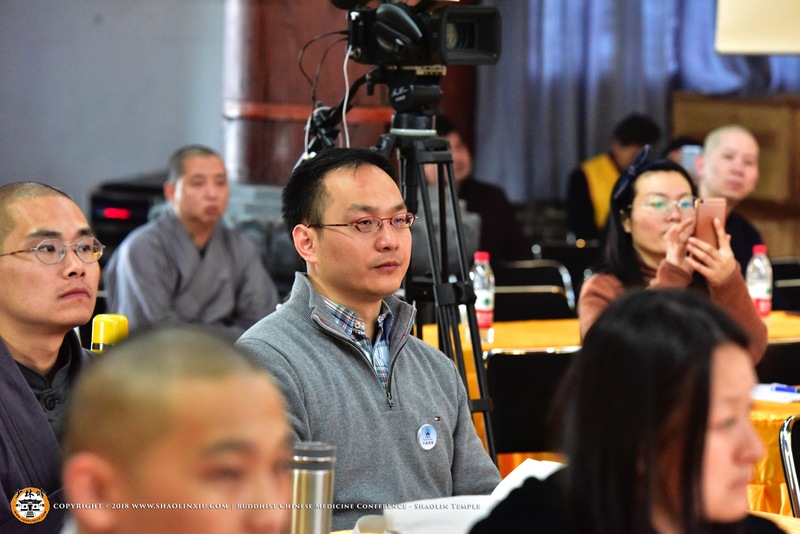 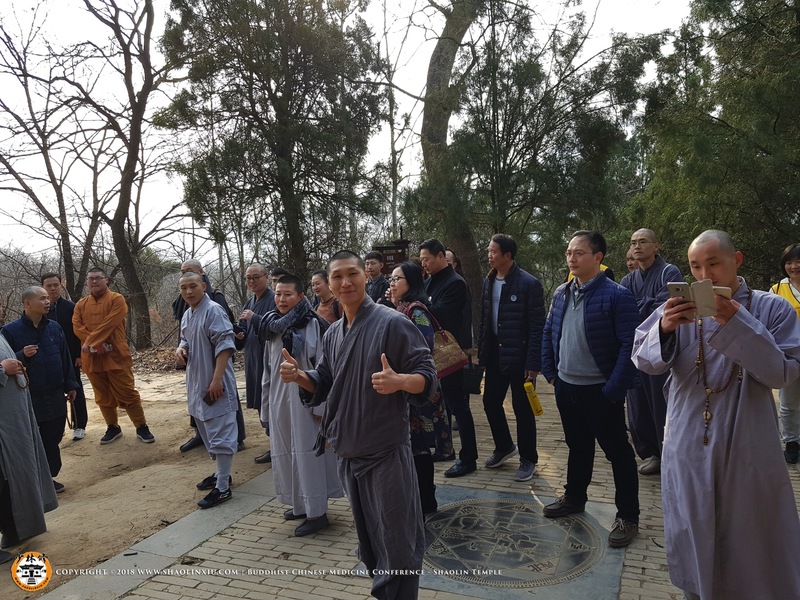 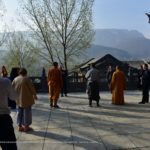 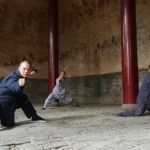 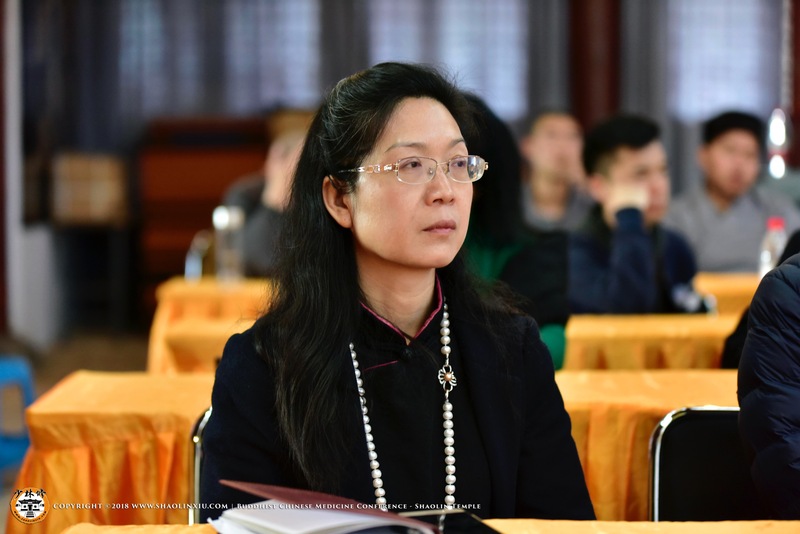 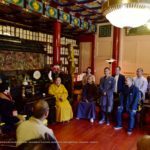 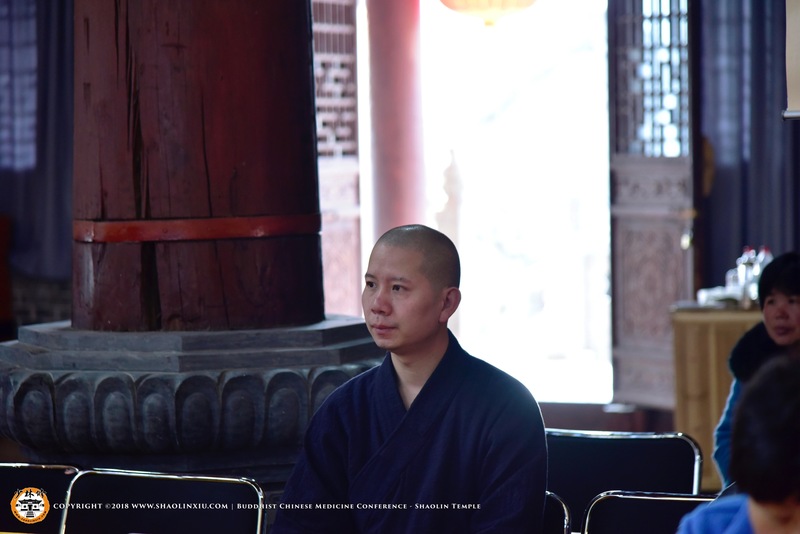 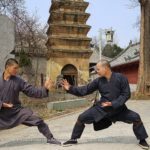 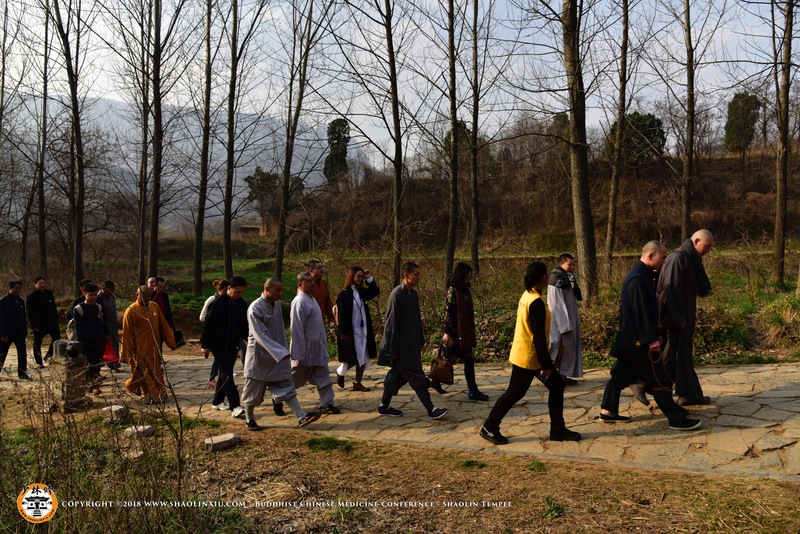 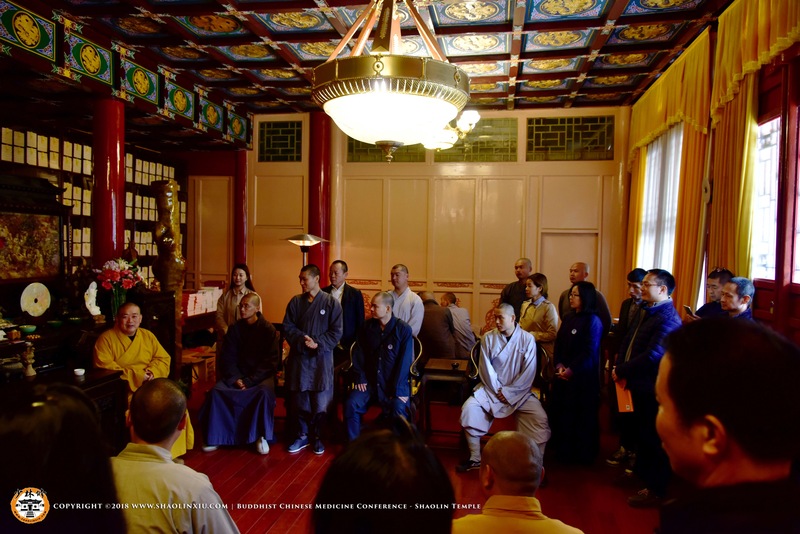 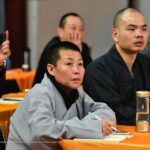 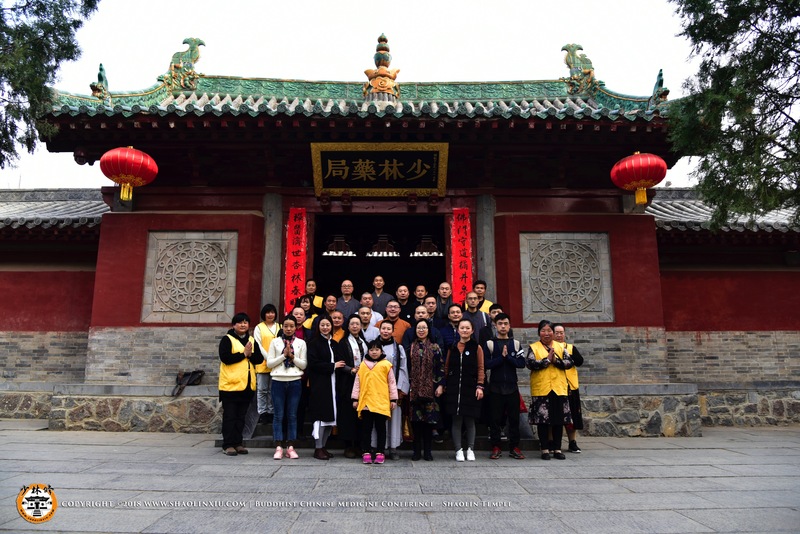 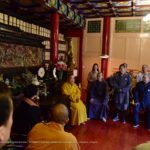 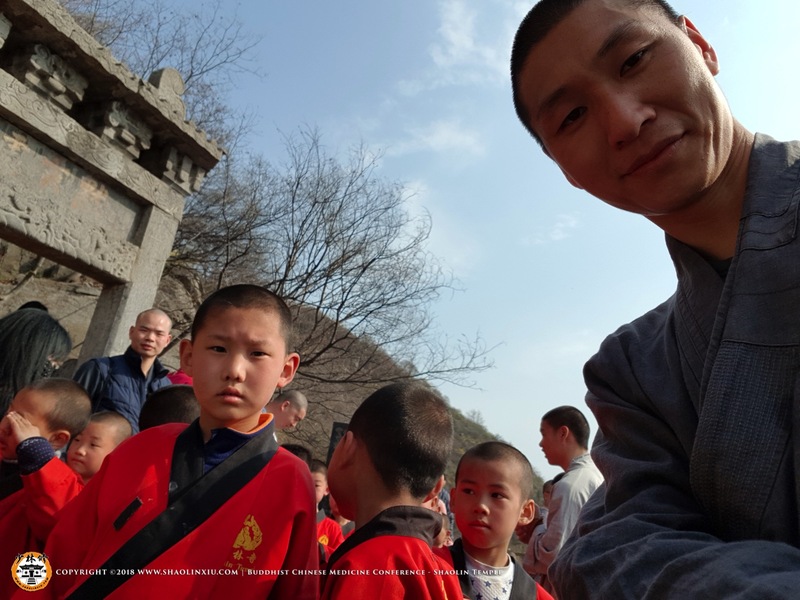 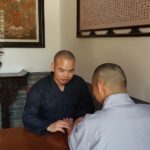 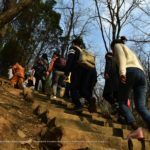 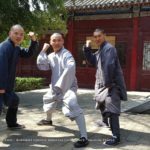 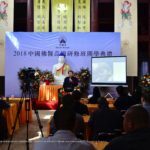 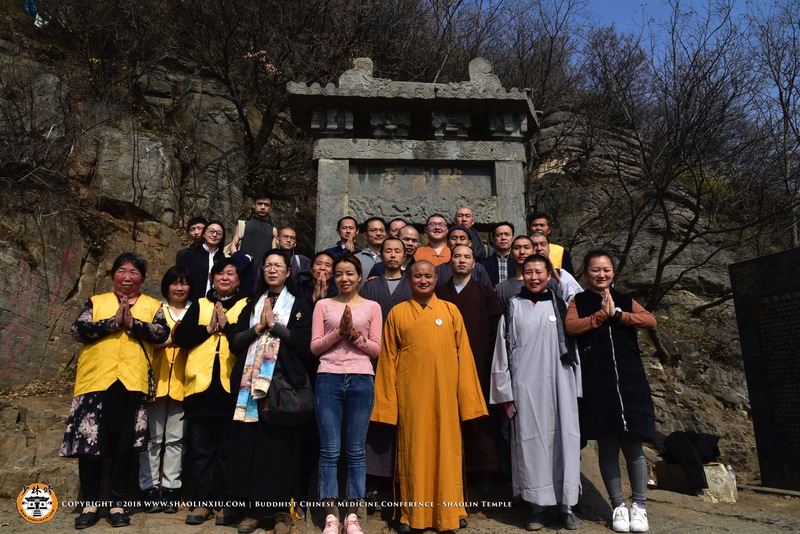 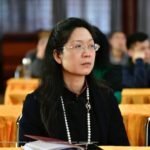 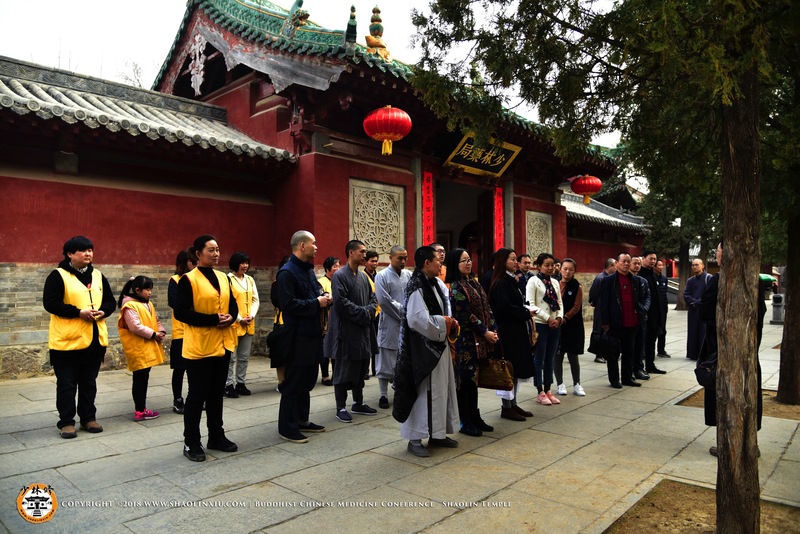 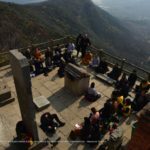 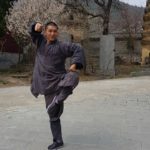 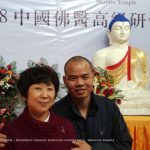 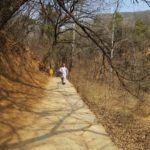 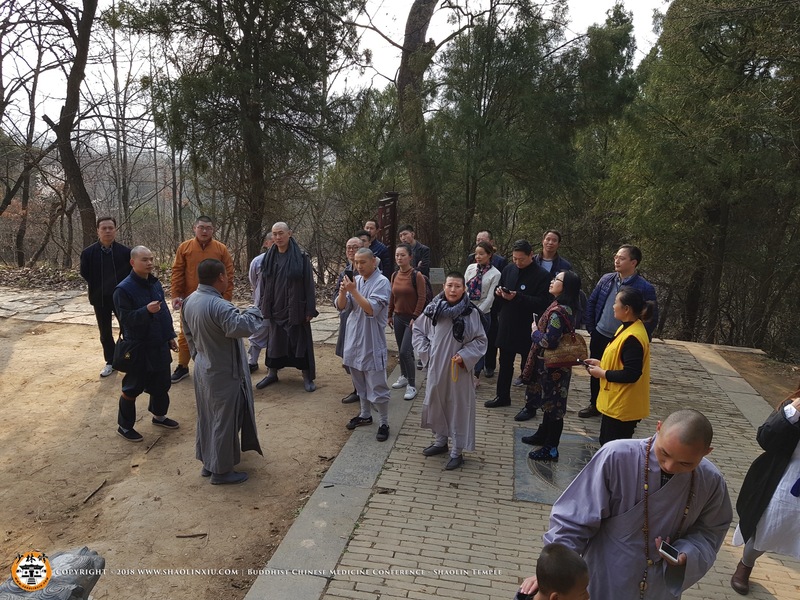 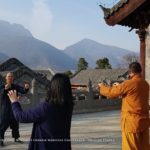 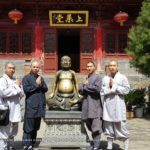 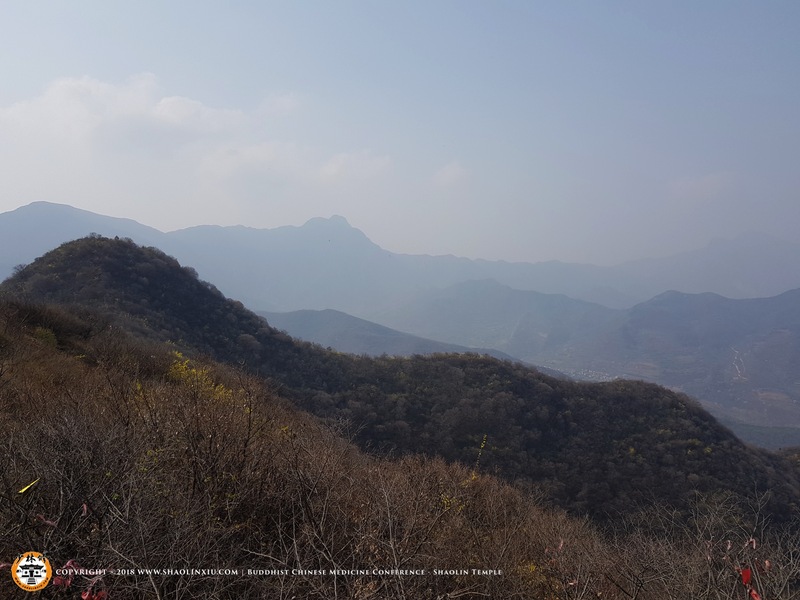 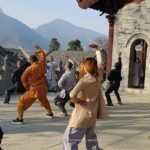 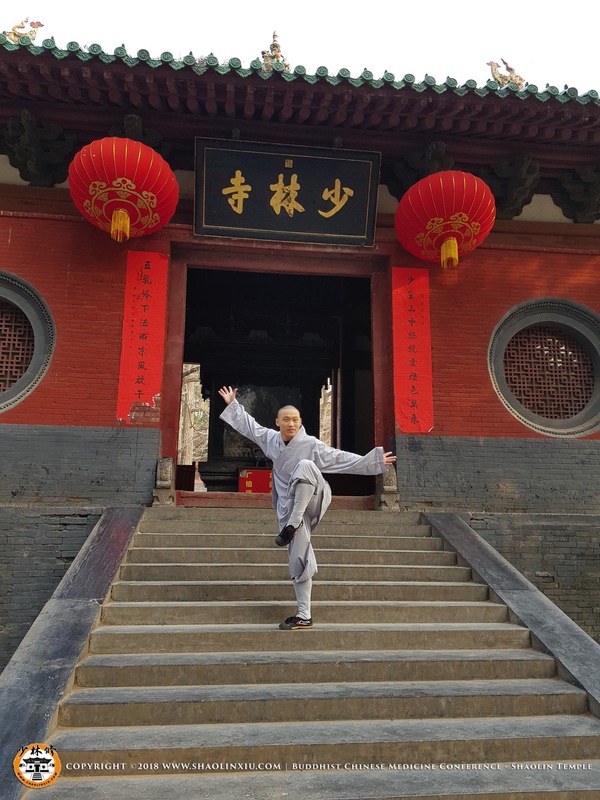 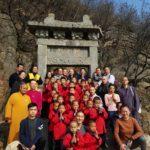 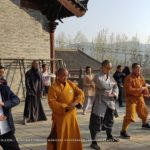 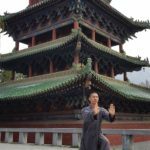 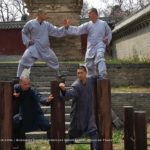 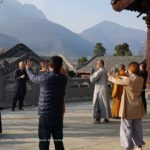 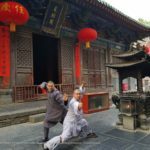 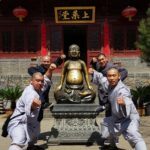 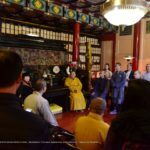 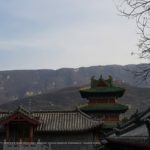 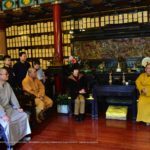 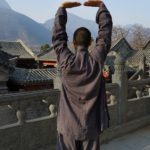 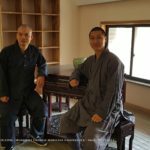 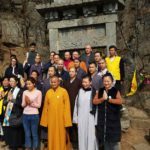 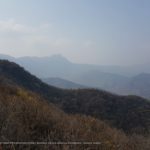 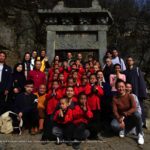 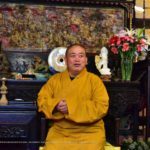 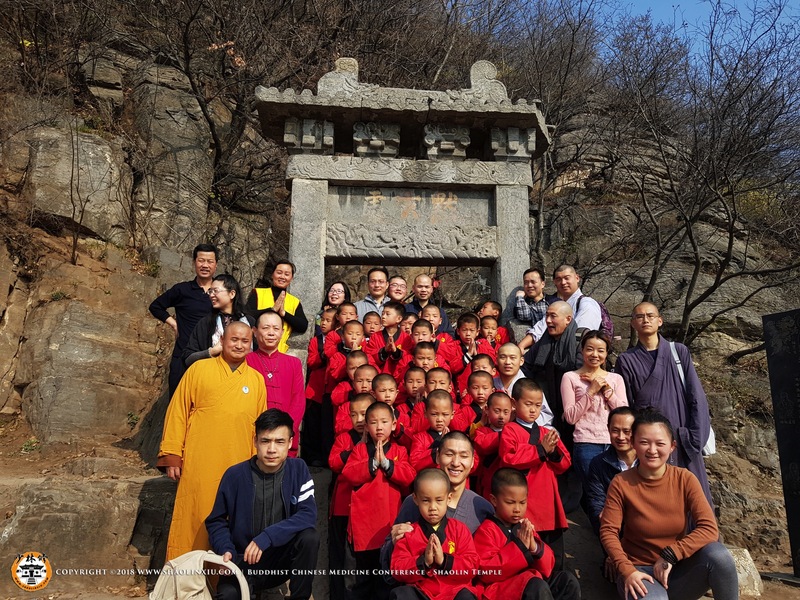 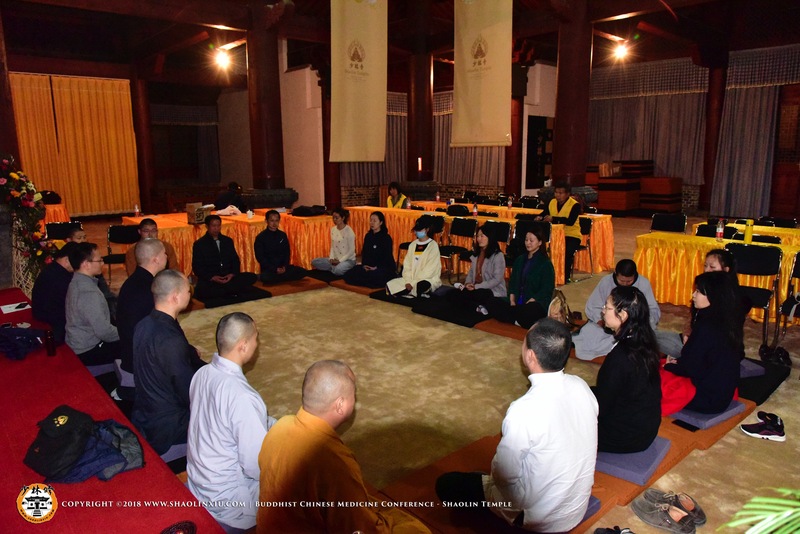 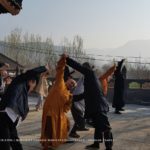 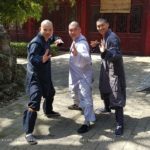 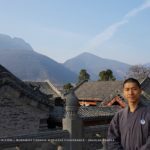 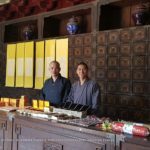 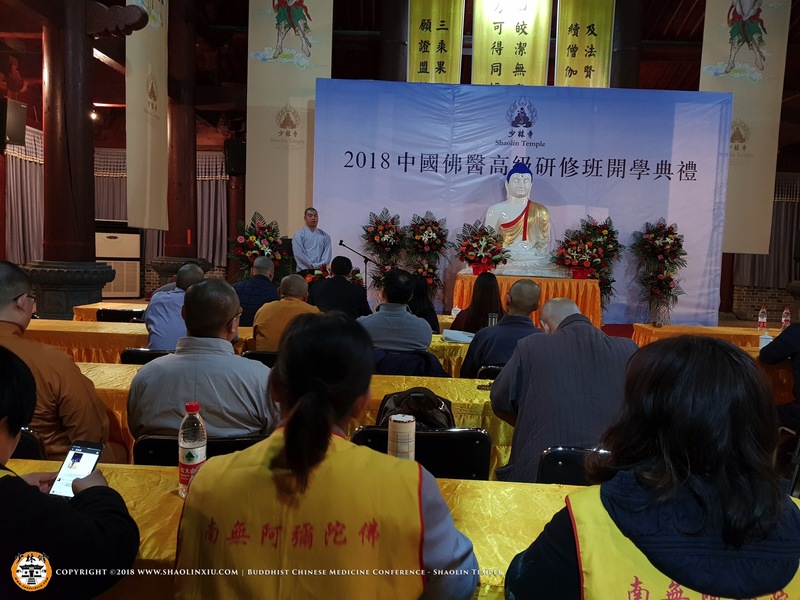 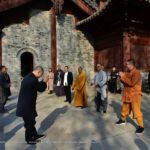 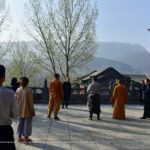 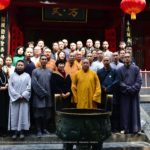 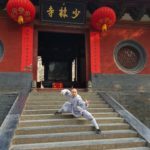 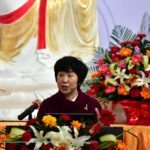 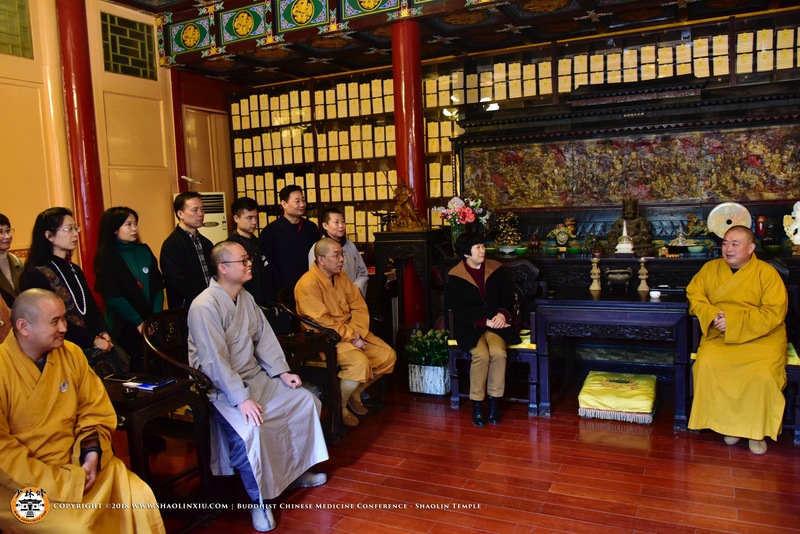 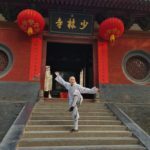 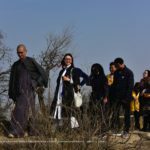 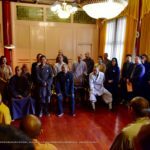 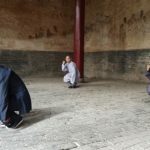 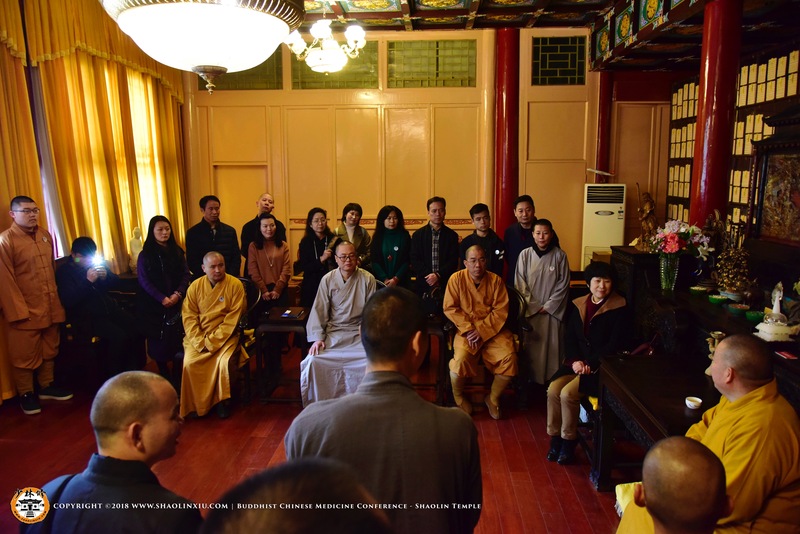 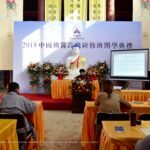 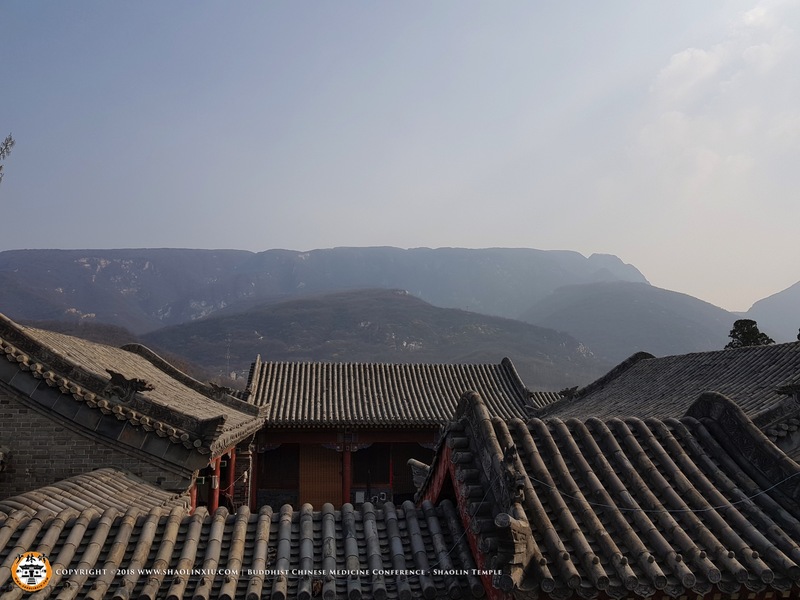 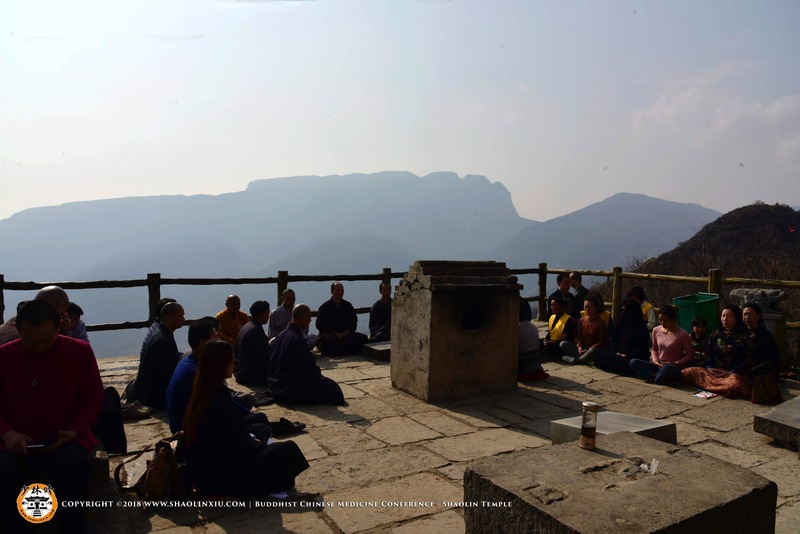 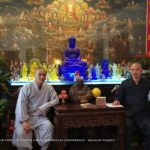 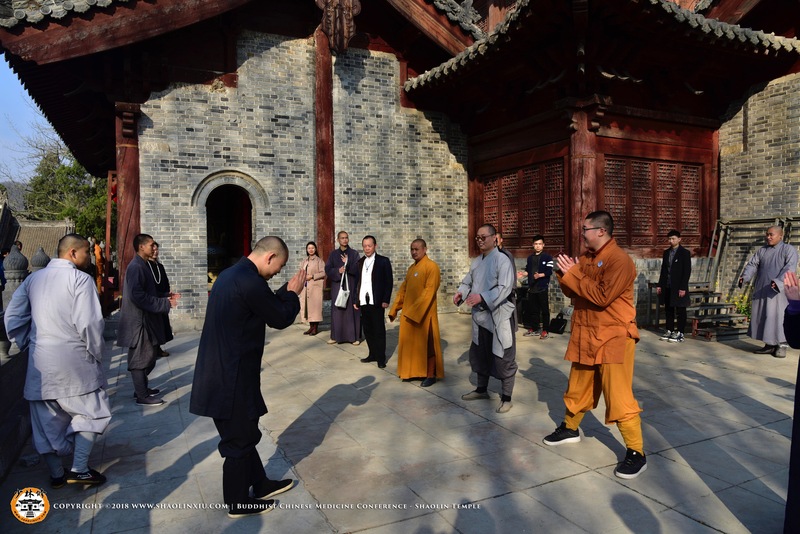 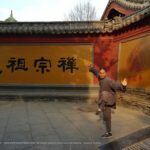 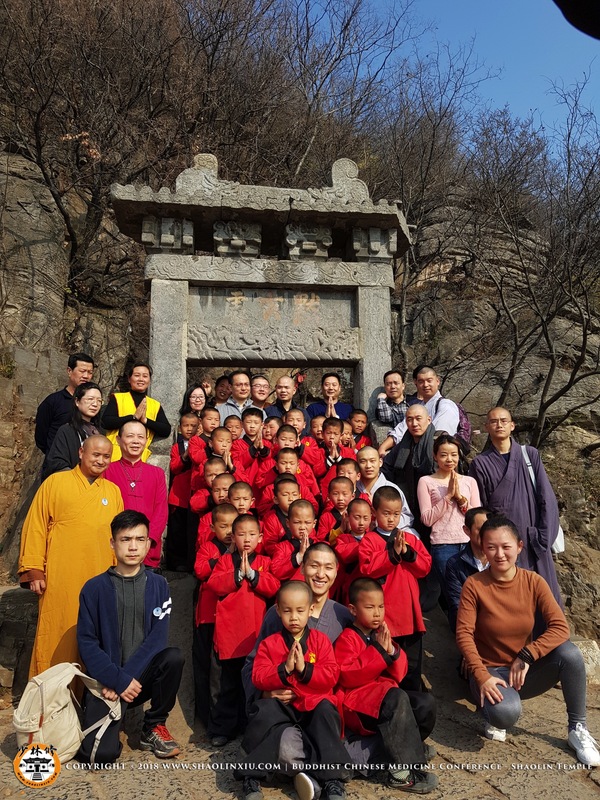 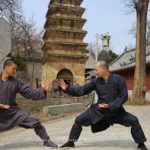 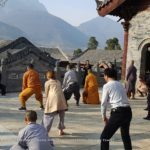 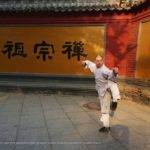 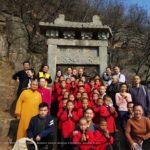 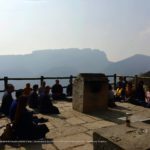 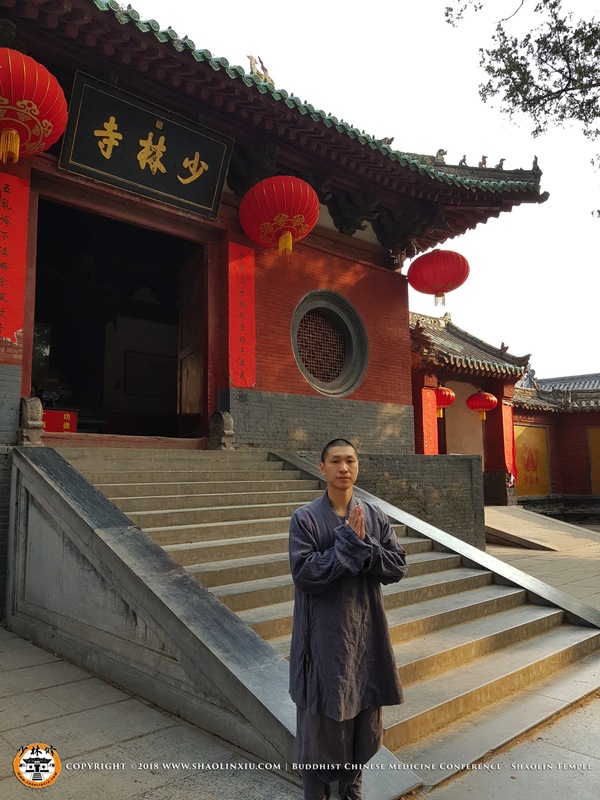 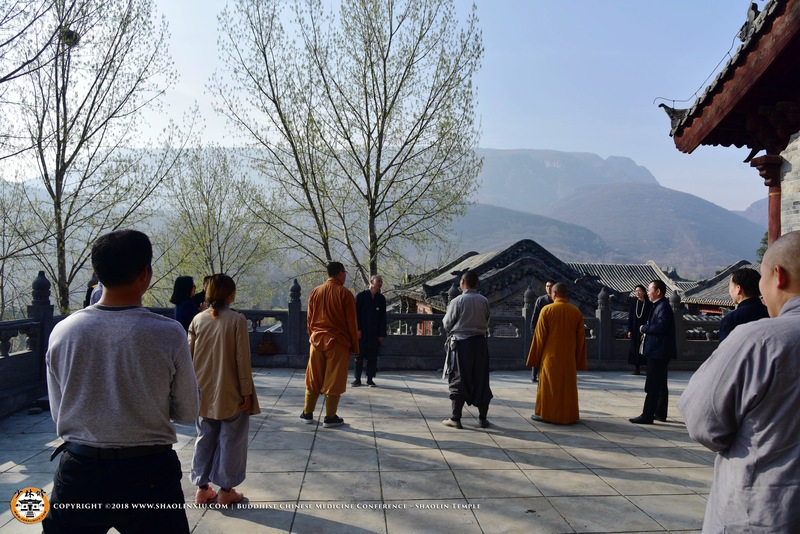 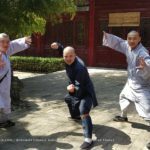 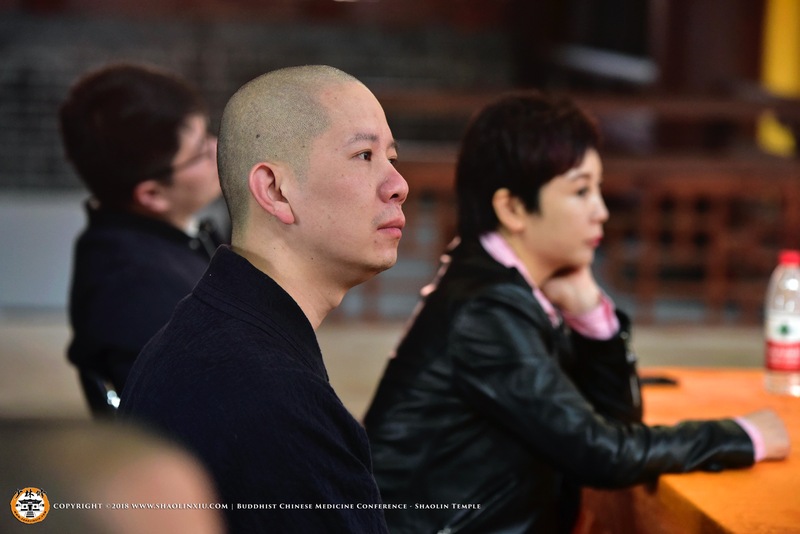 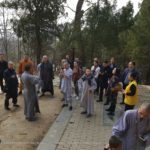 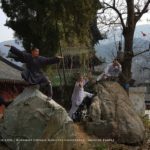 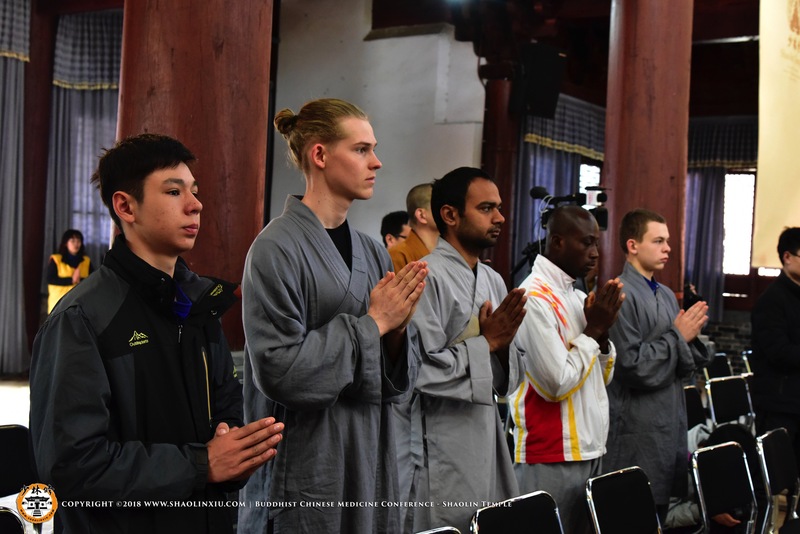 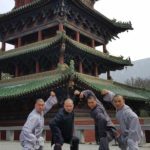 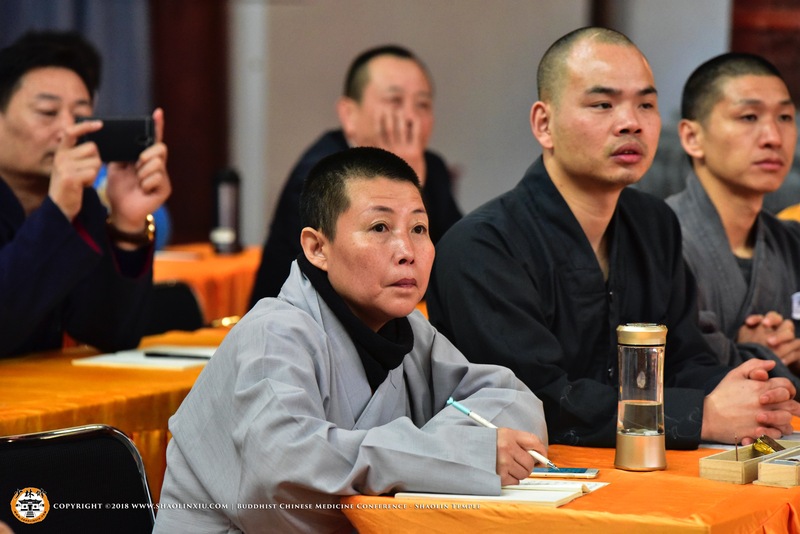 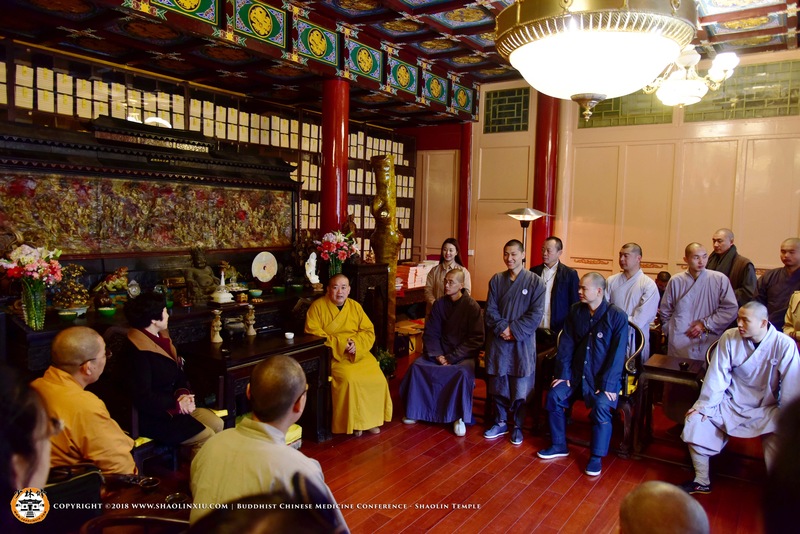 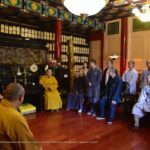 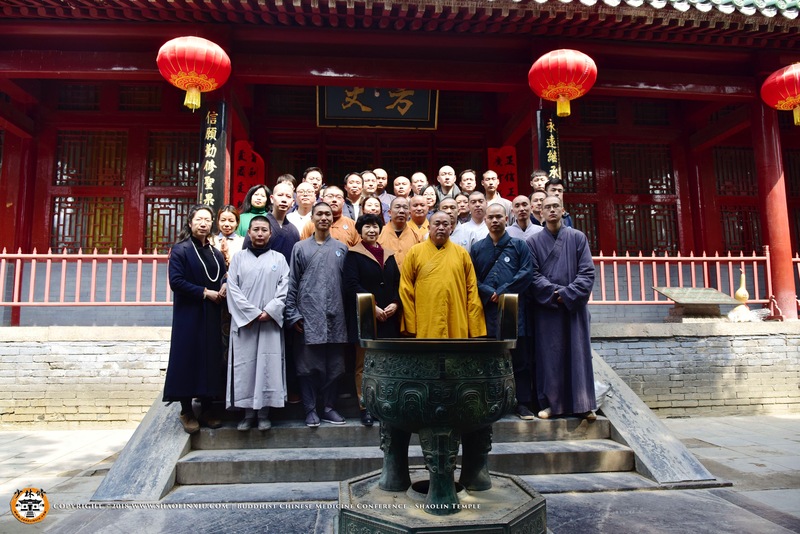 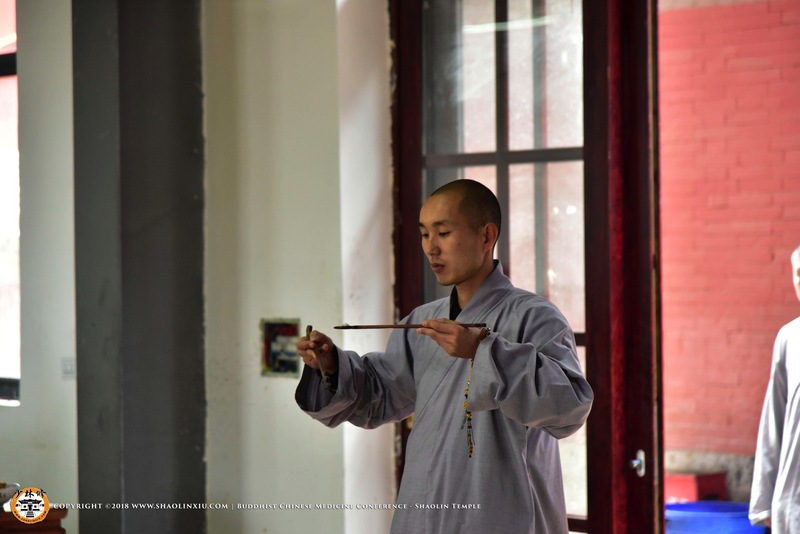 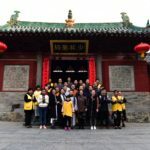 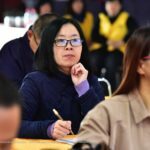 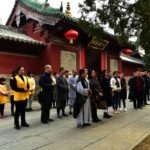 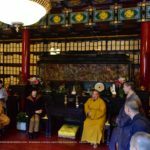 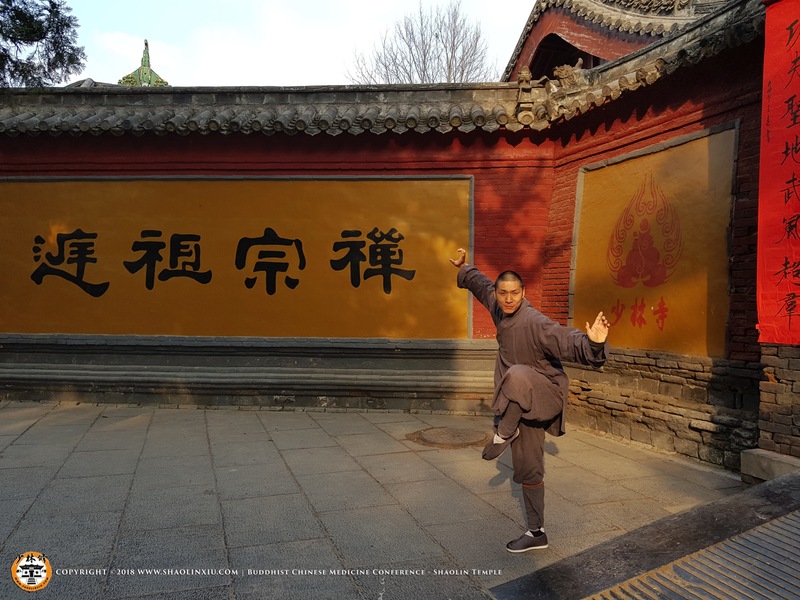 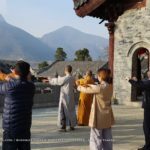 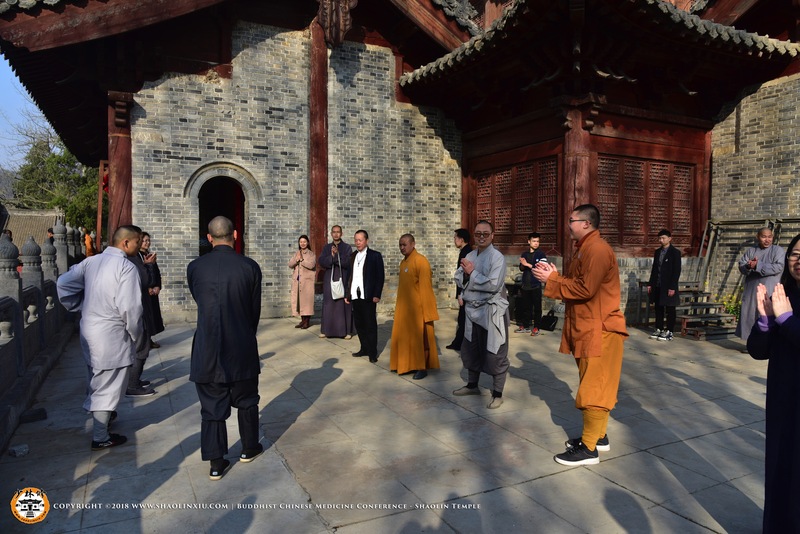 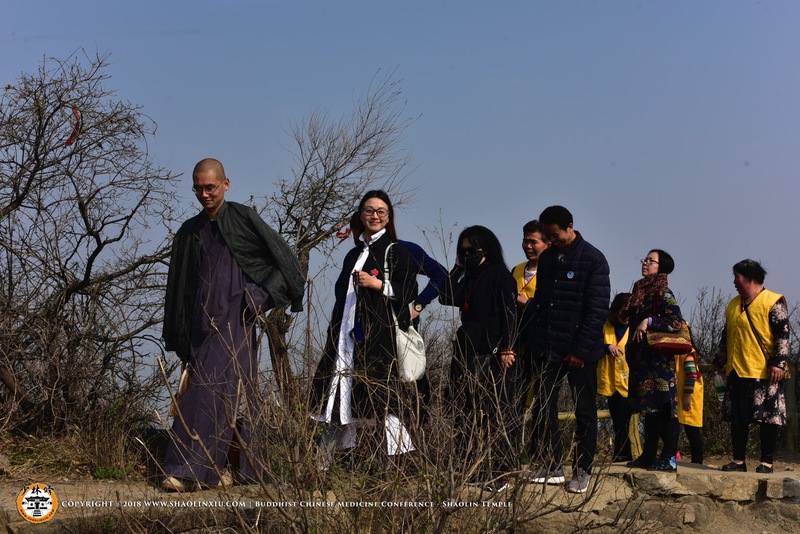 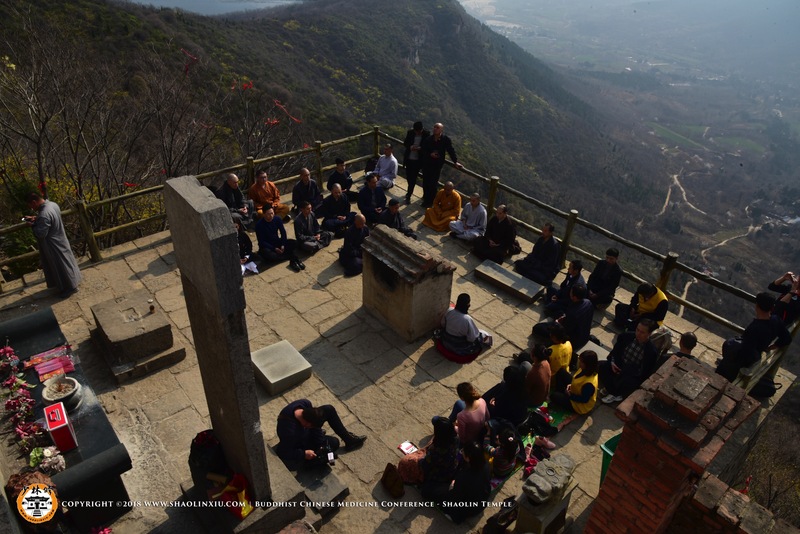 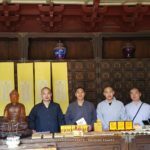 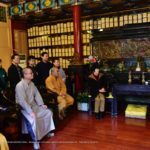 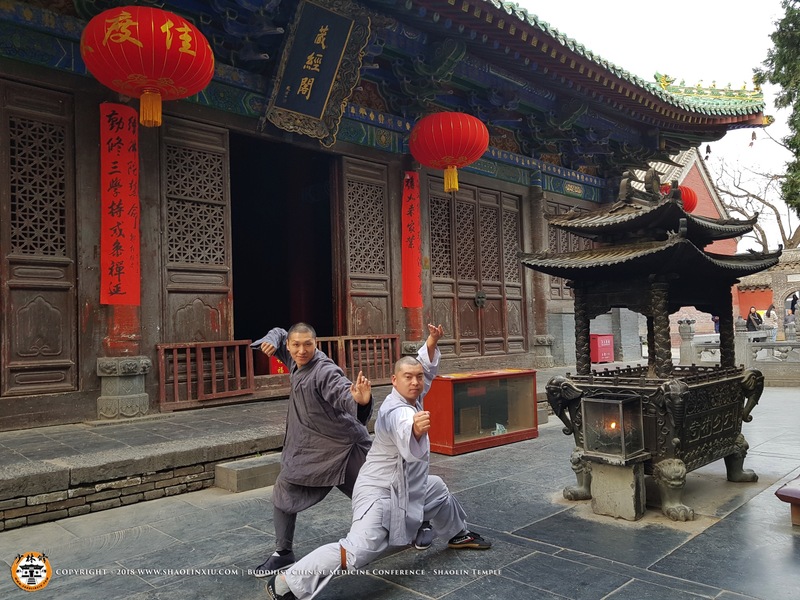 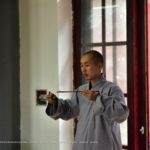 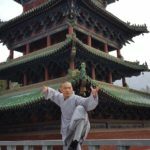 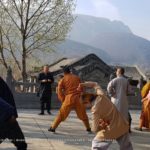 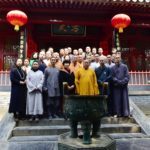 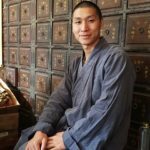 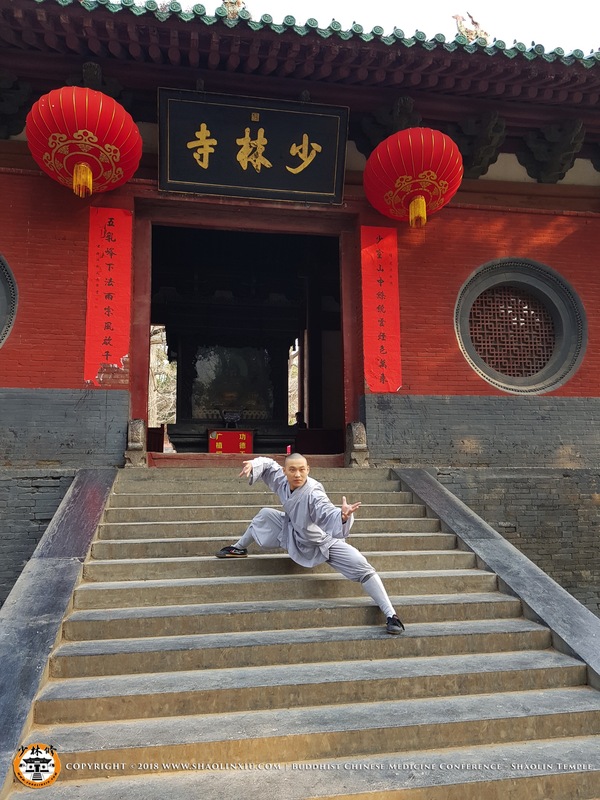 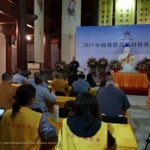 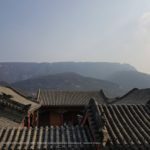 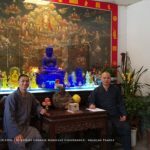 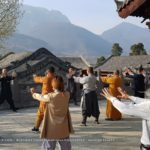 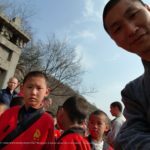 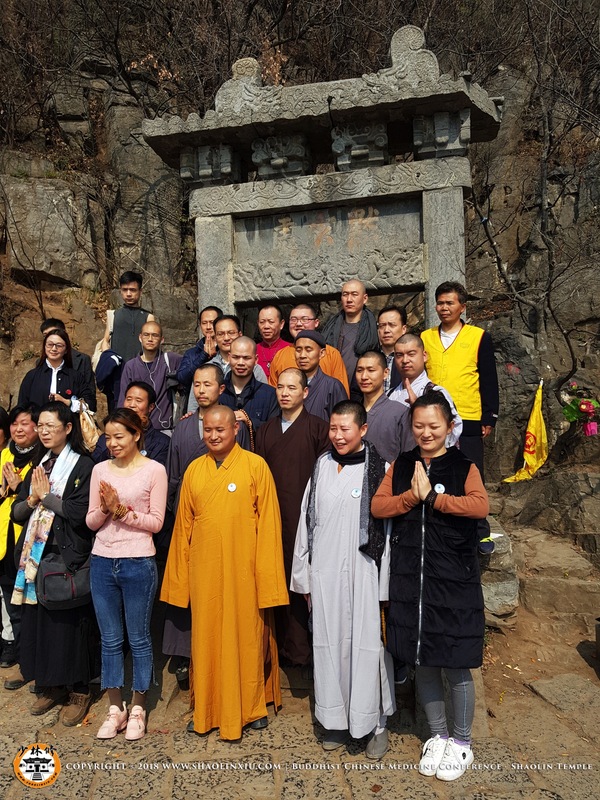 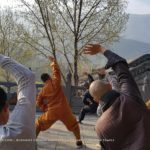 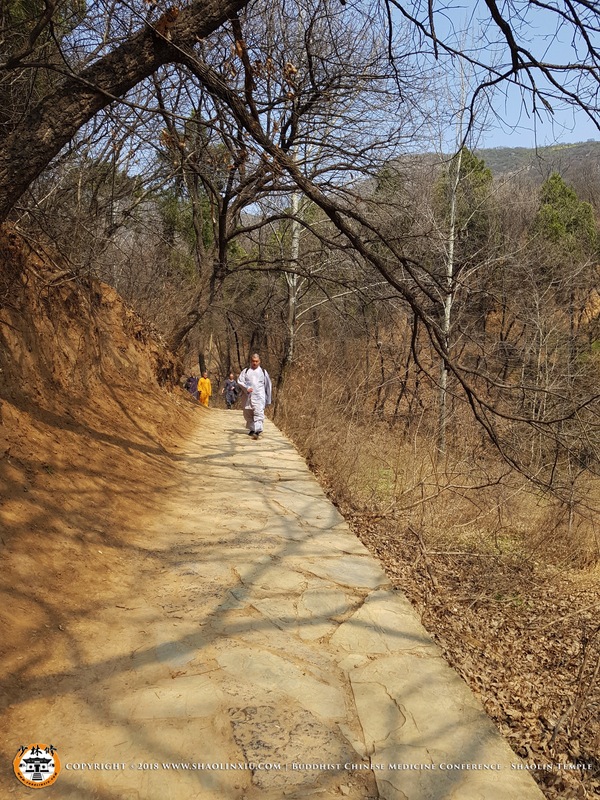 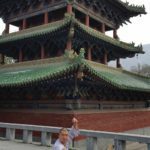 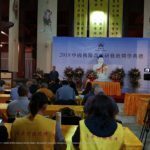 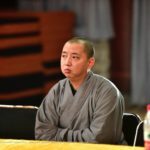 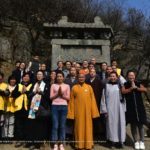 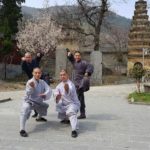 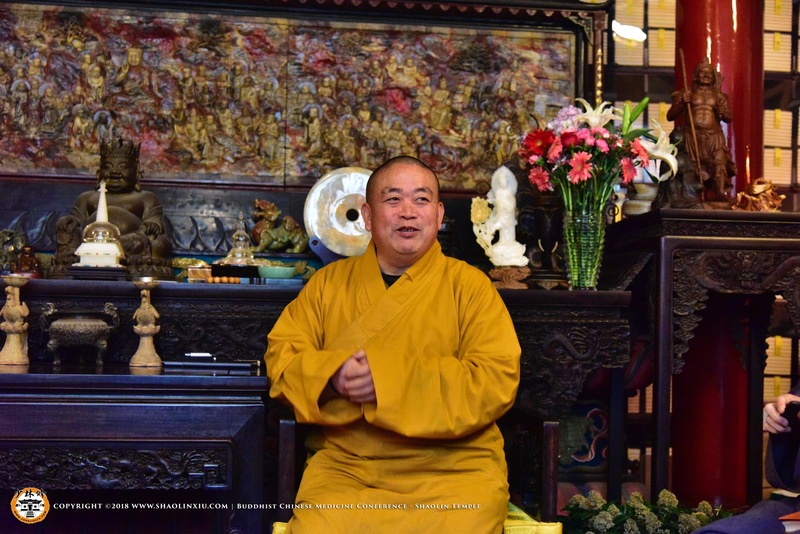 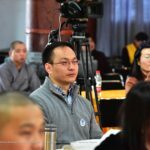 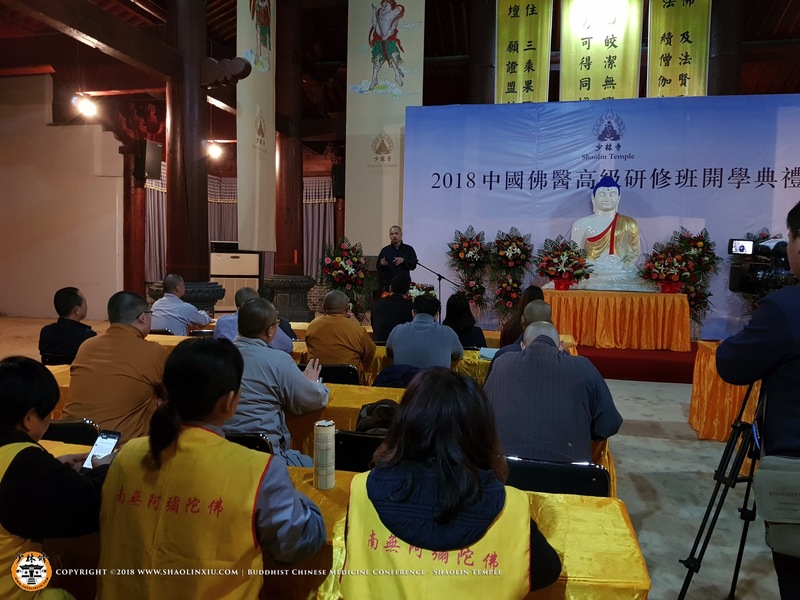 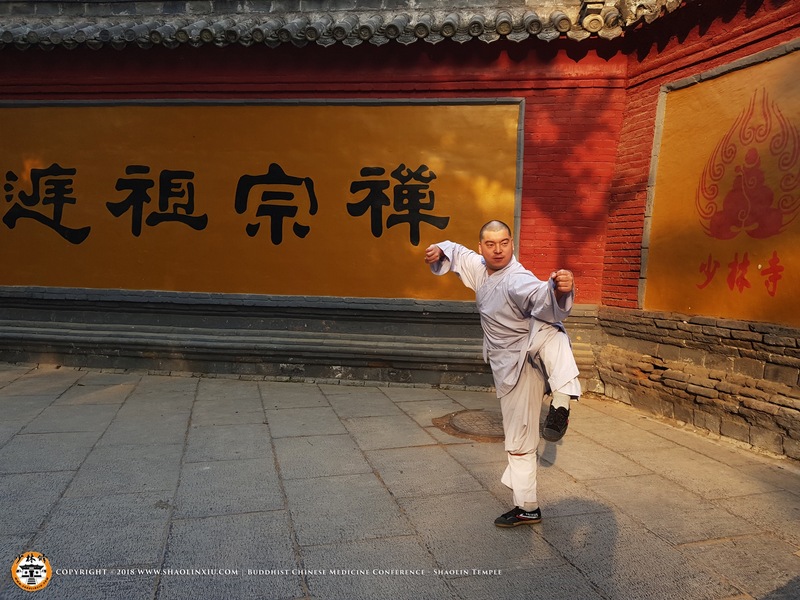 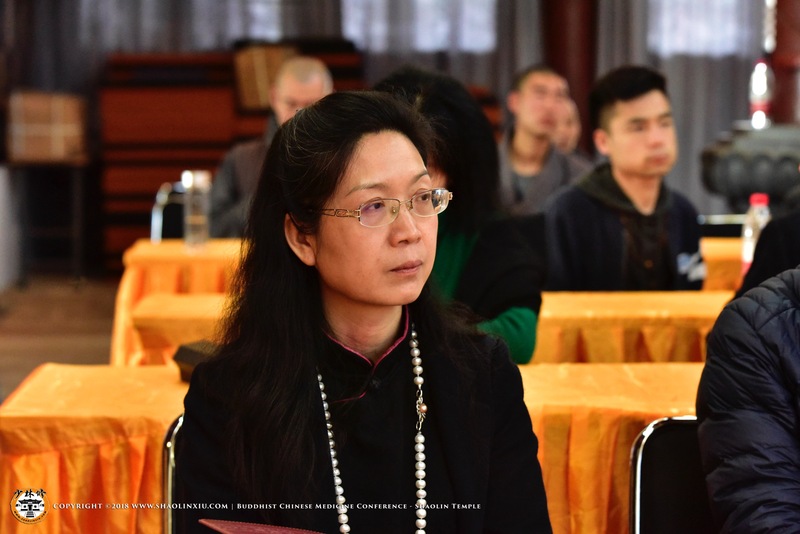 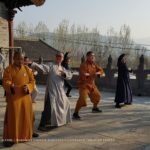 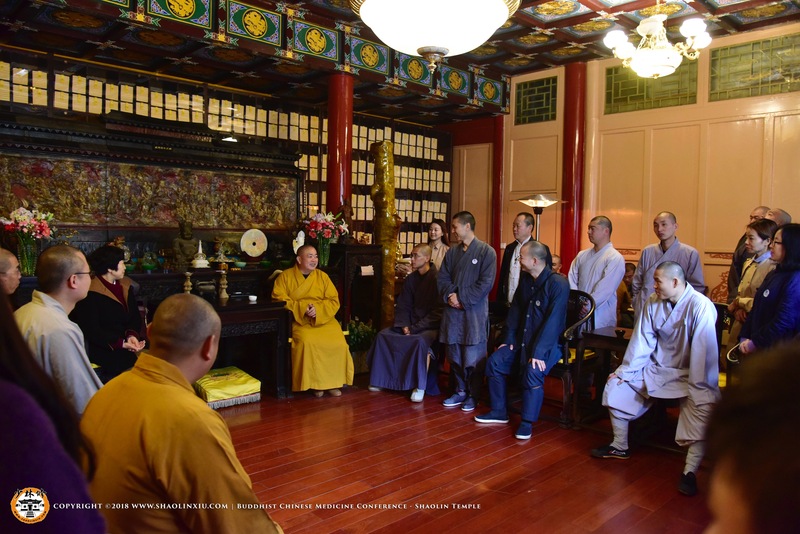 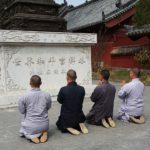 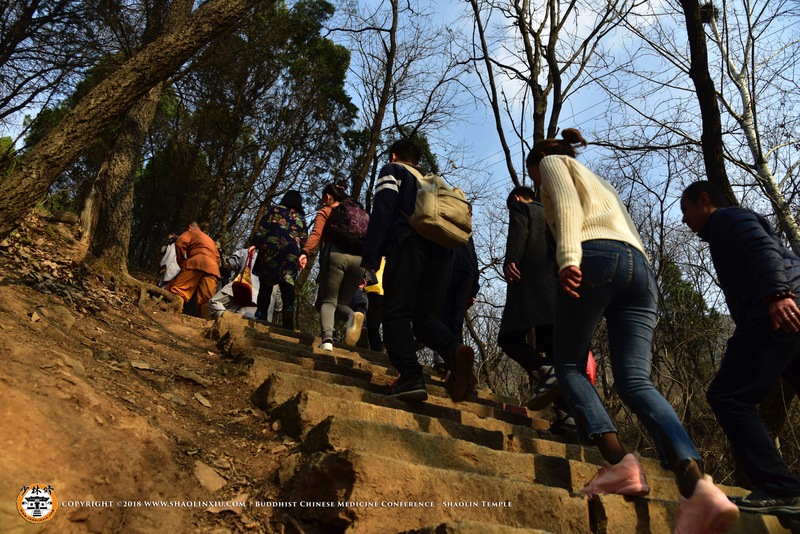 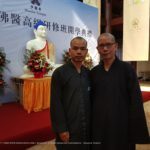 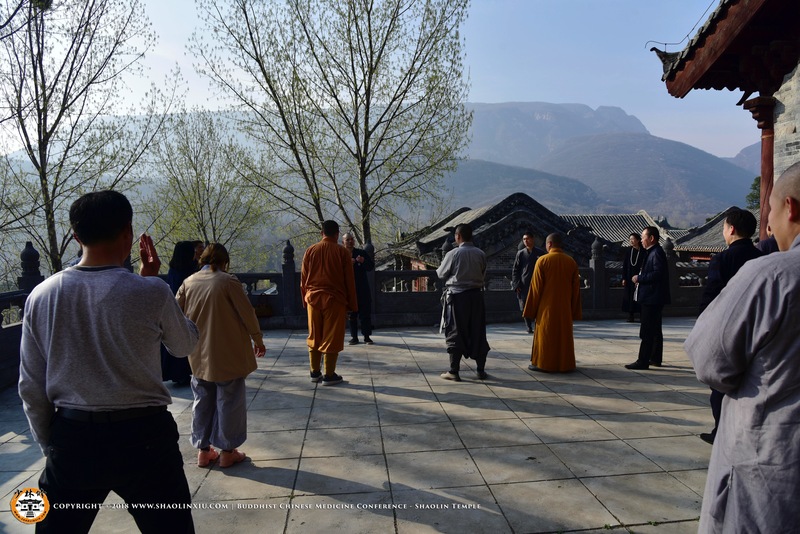 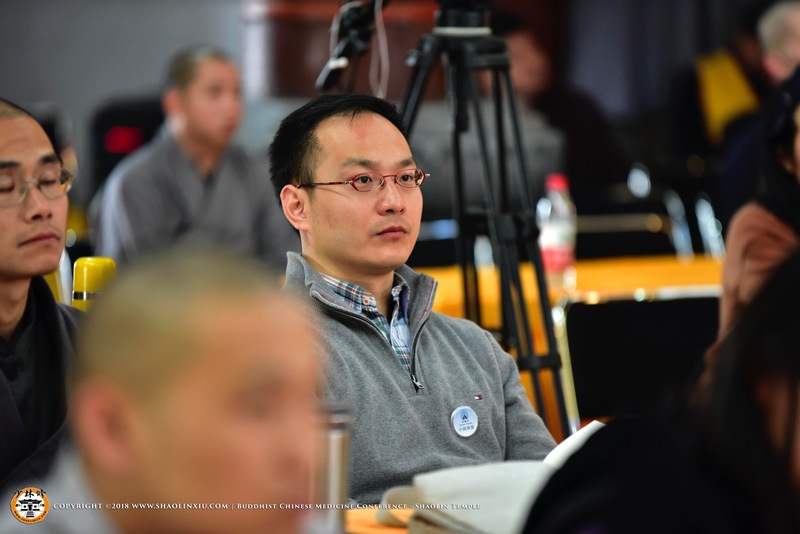 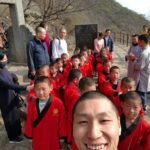 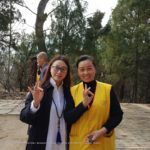 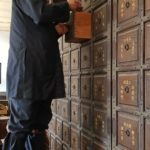 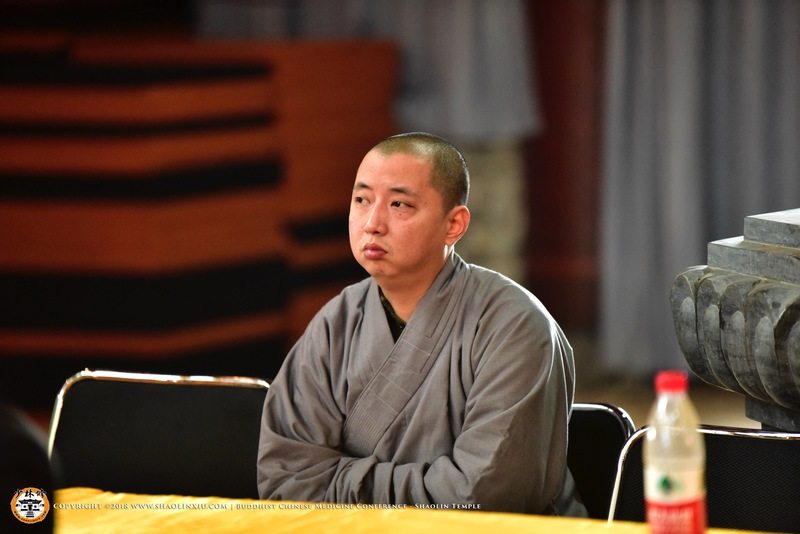 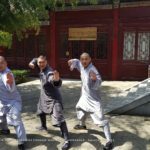 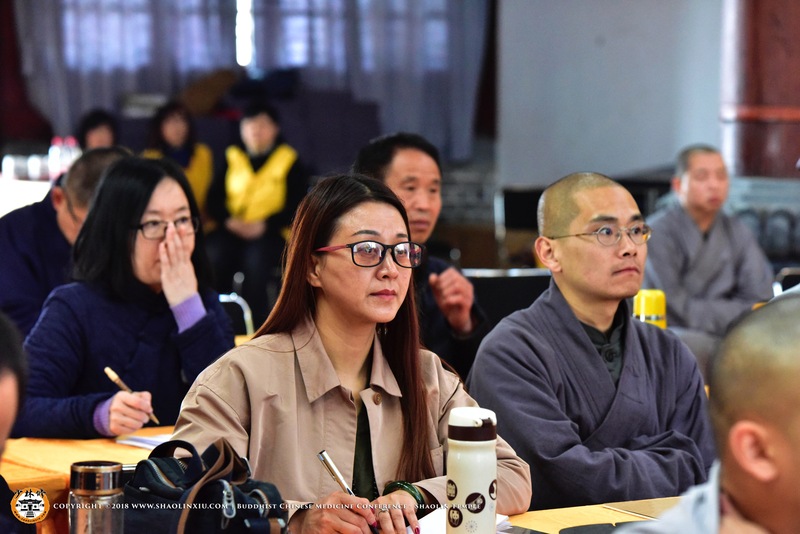 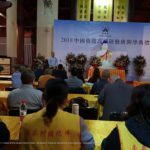 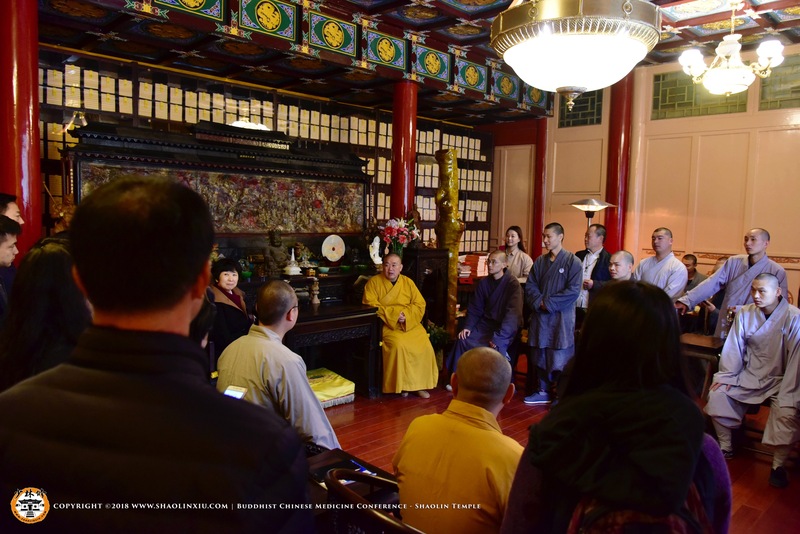 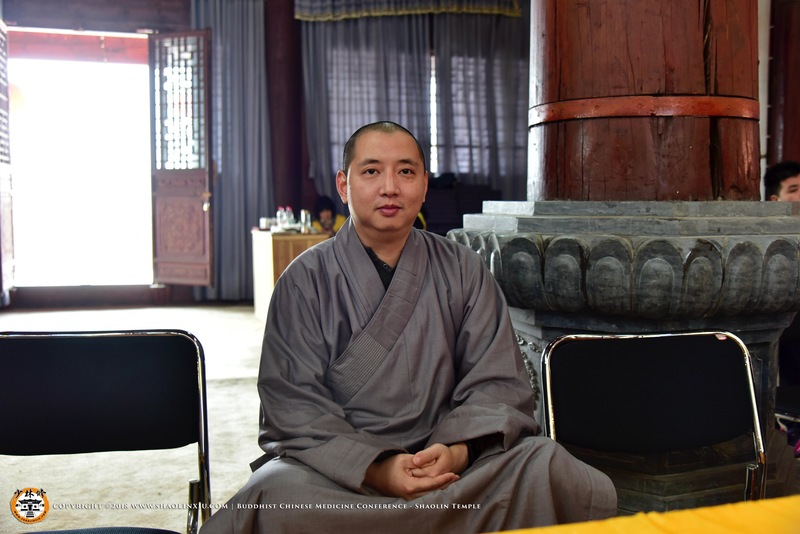 Professors from well regarded universities around China participated in medical talks and presentations with The Abbot and Shifu Yan Xiu was invited to represent Shaolin Temple through talks on Shaolin Medicine and Qigong. 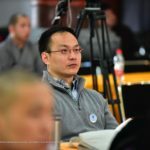 Shifu Yan Xiu’s talk was well received. 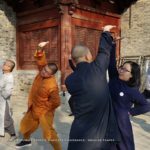 In particular, the professors were greatly inspired by the Qi Gong demonstrations and exercises. 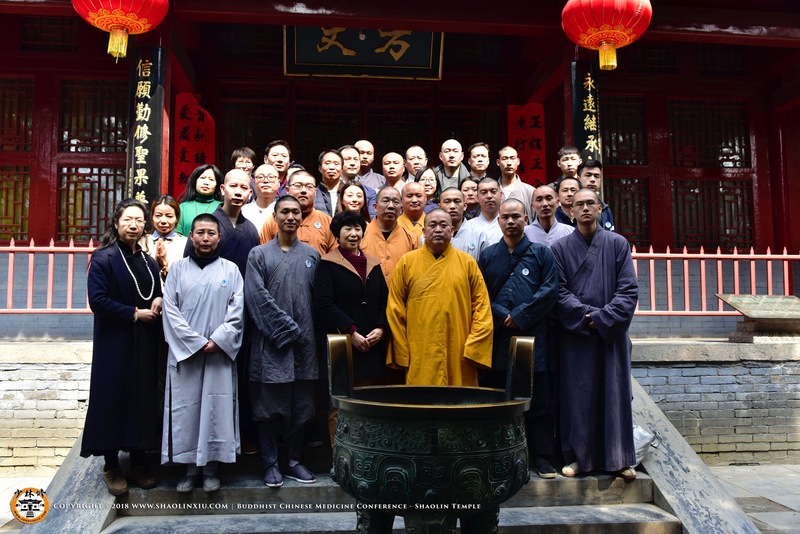 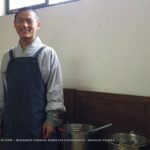 On behalf of the Shaolin Xiu Culture Centre, Shifu Yan Xiu would like to thank his Master Shi Yong Xin, all professors (Li Liangsong – Beijing University, Xu Jiangyan-Henan University, Zhou Youlong) Shaolin Pharmacy master Yan Lin, Monastic Manager of Shaolin Temple – Yanchong and everyone involved in making the first Buddhist Chinese Medicine conference a great success! 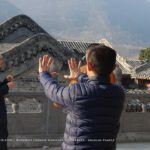 We hope you enjoy the photos of the conference and Qi Gong demonstrations.